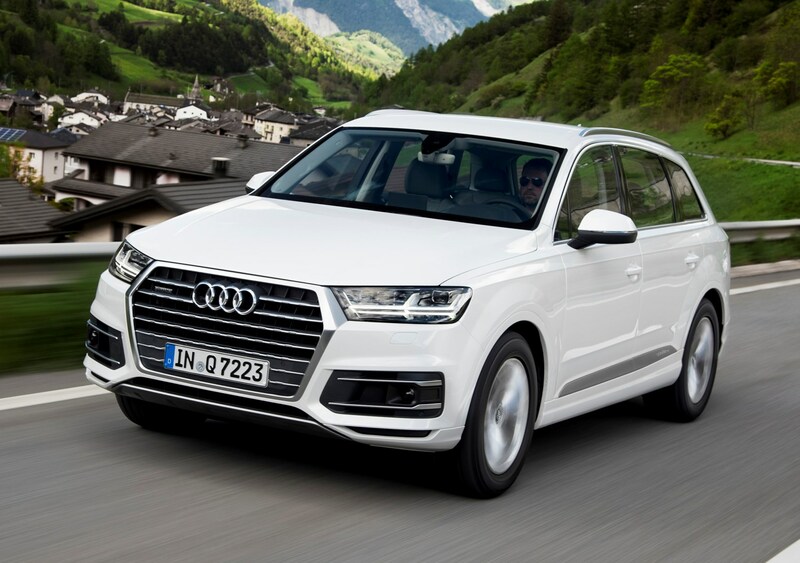 Since the original Audi Q7 was introduced in 2006 the German company's full-sized SUV has been a notable success, finding more than 500,000 homes. 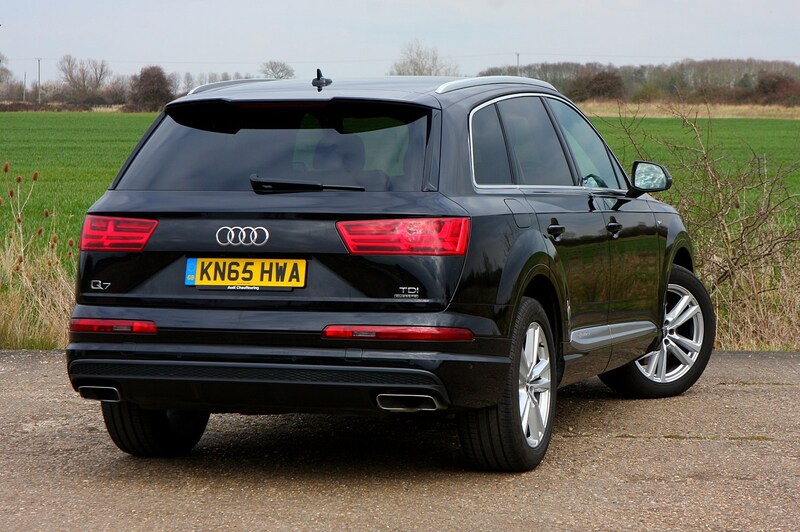 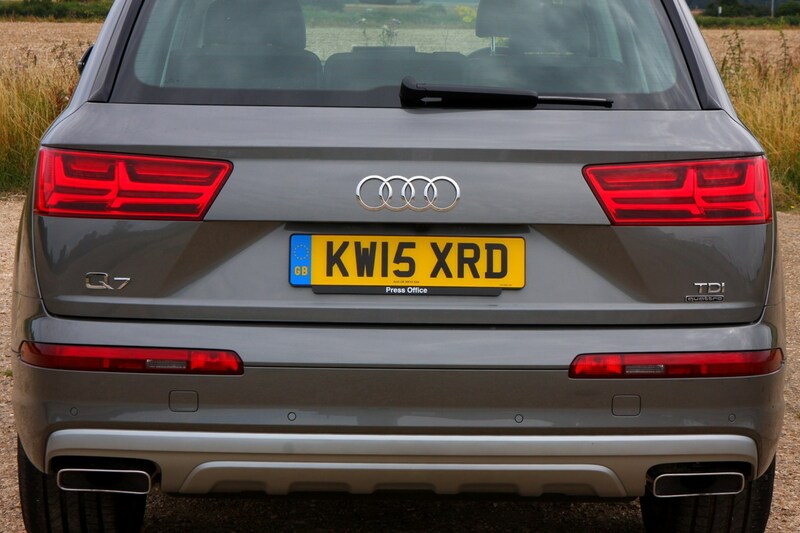 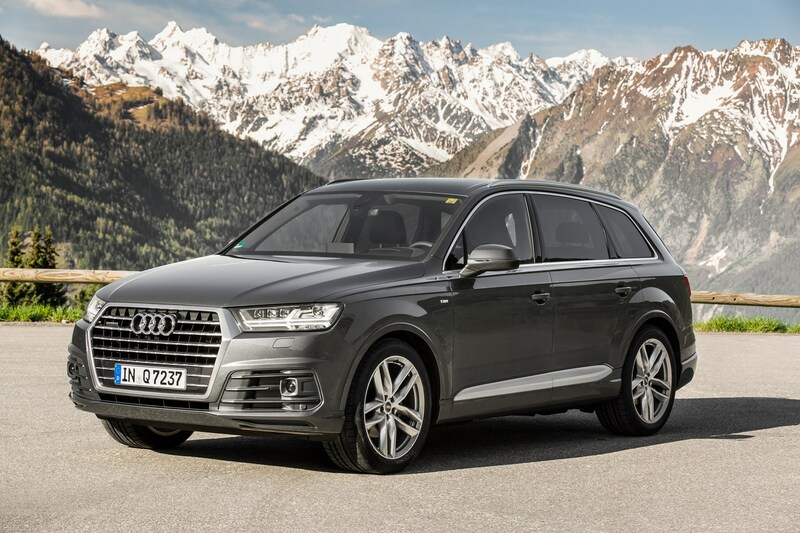 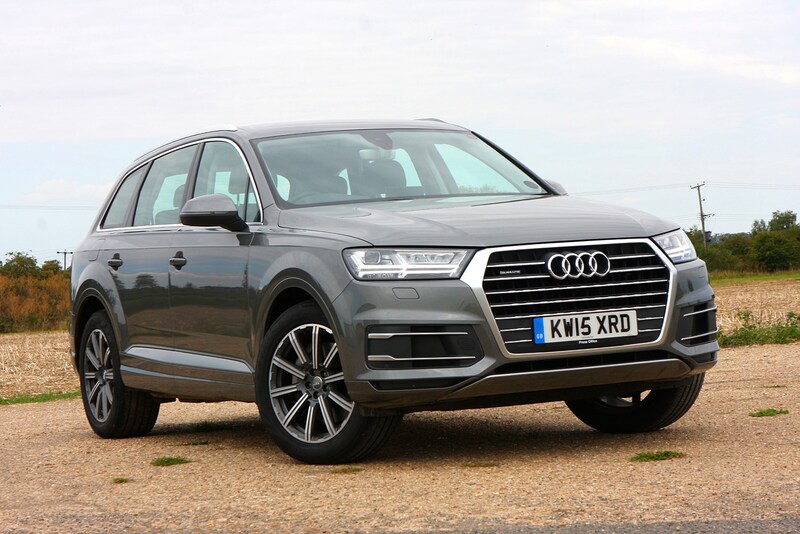 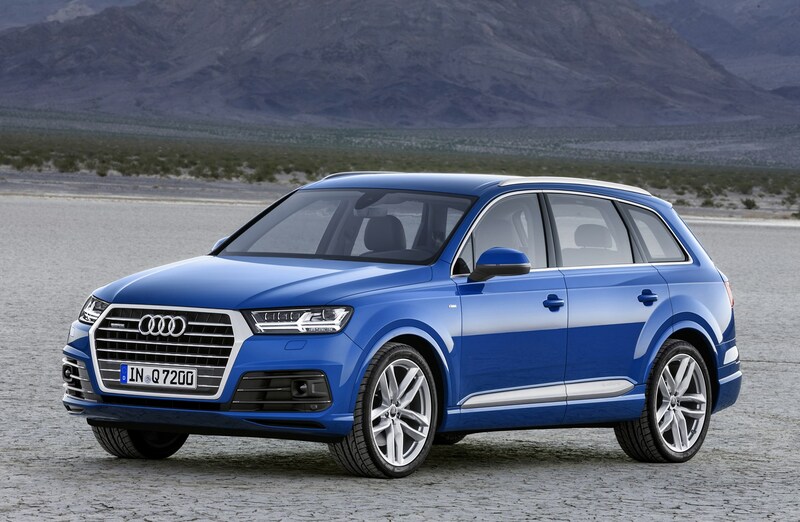 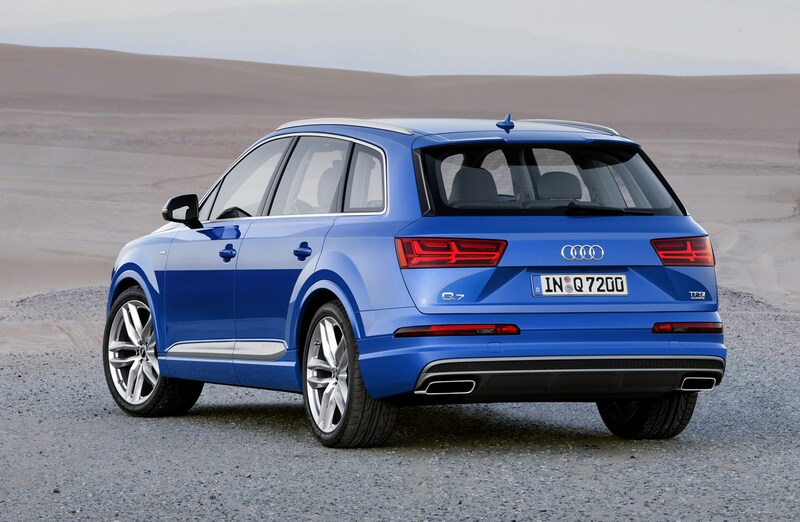 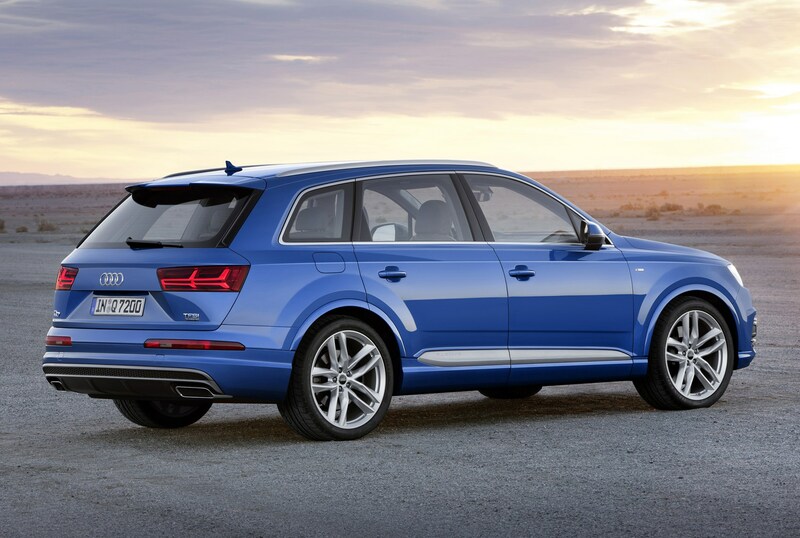 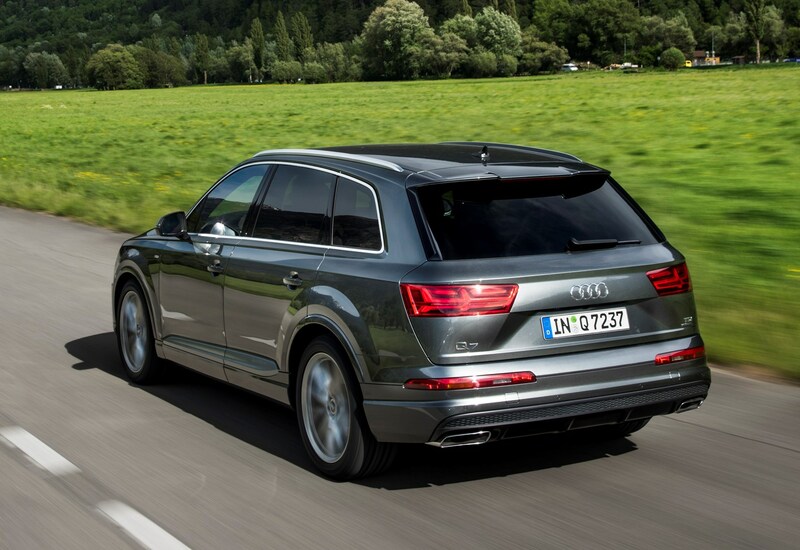 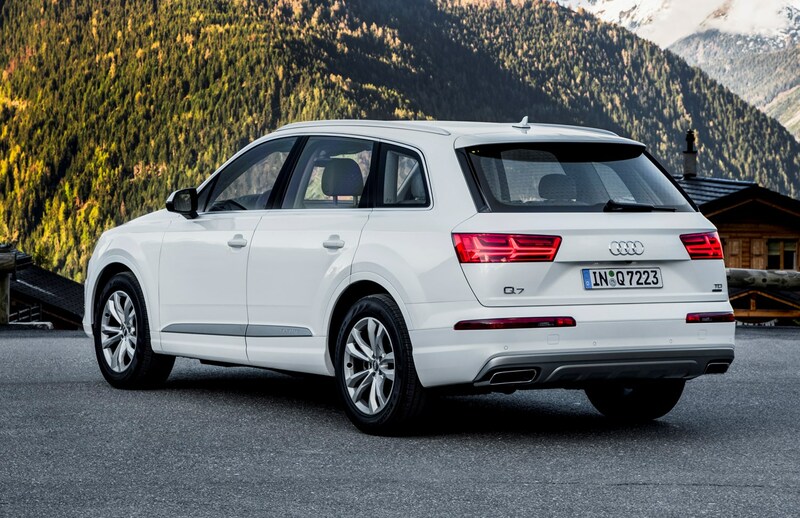 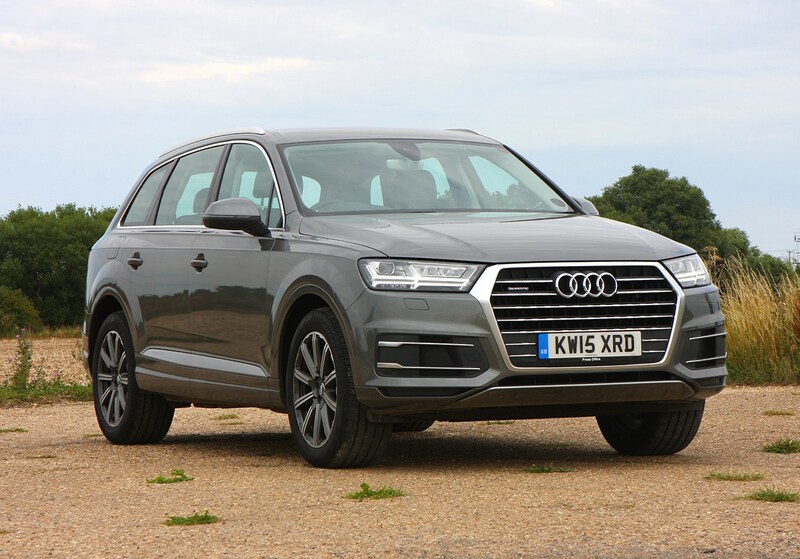 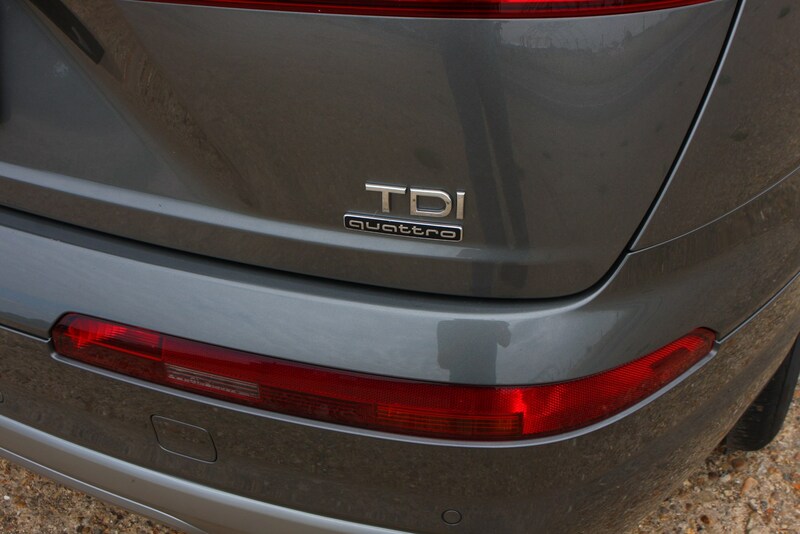 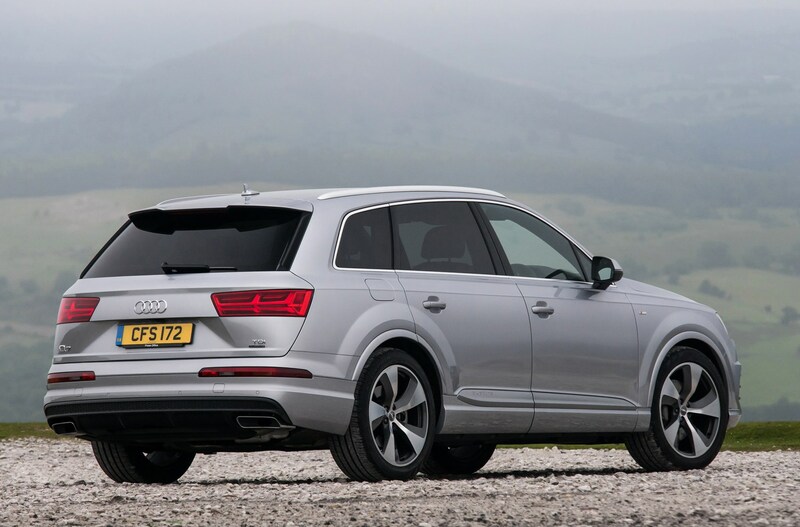 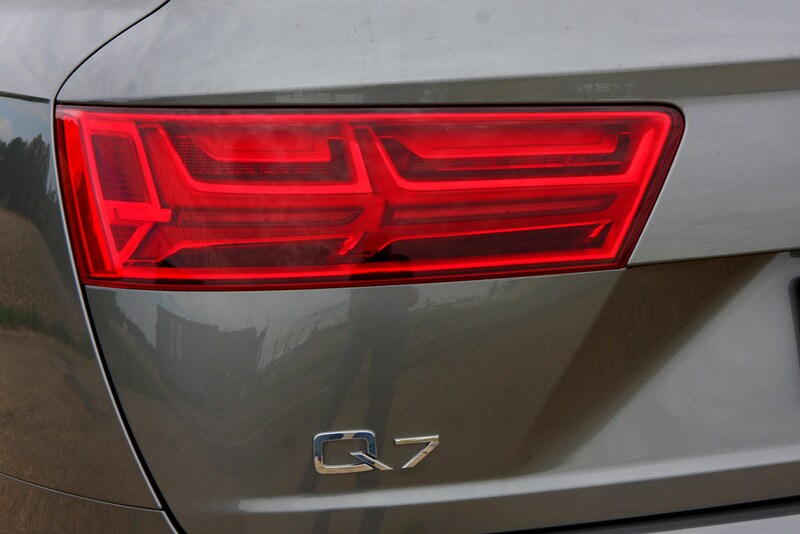 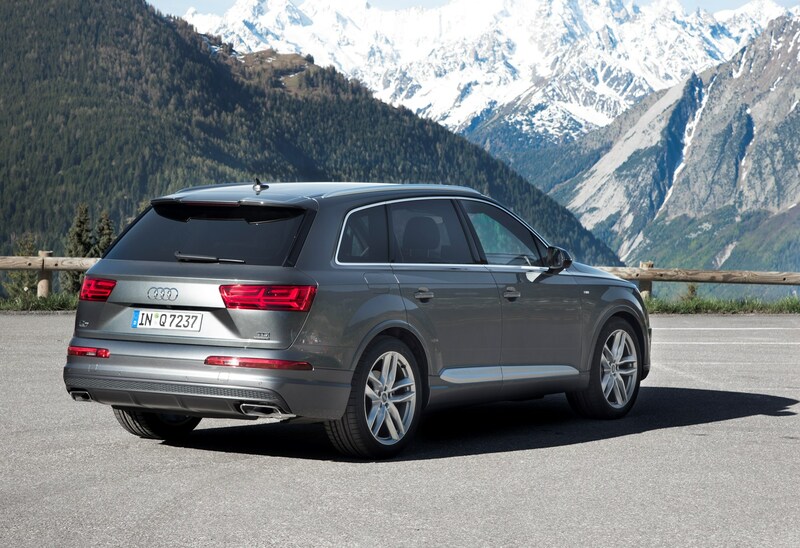 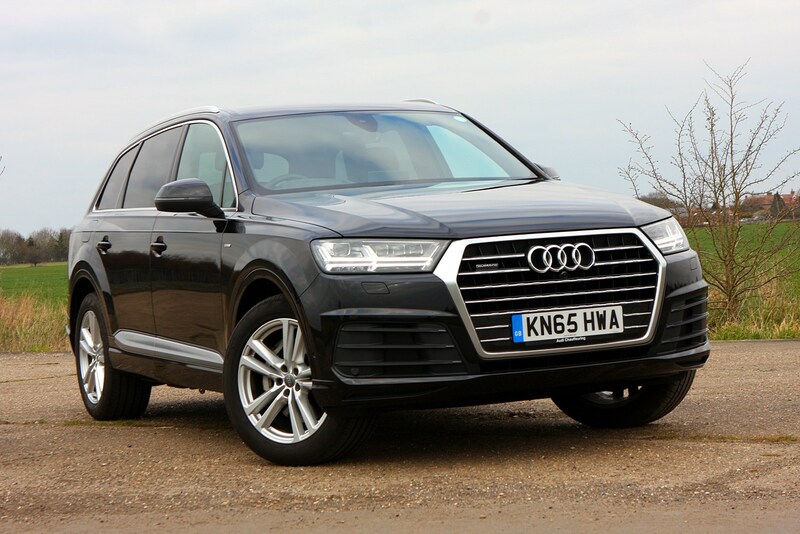 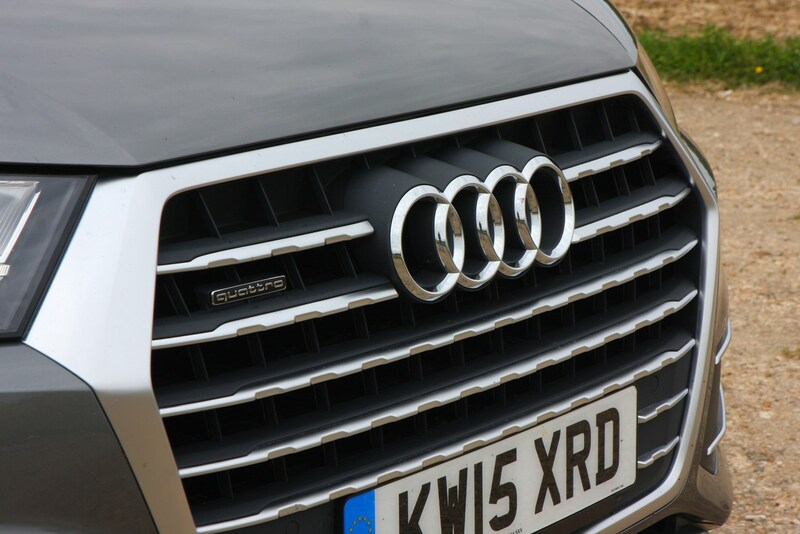 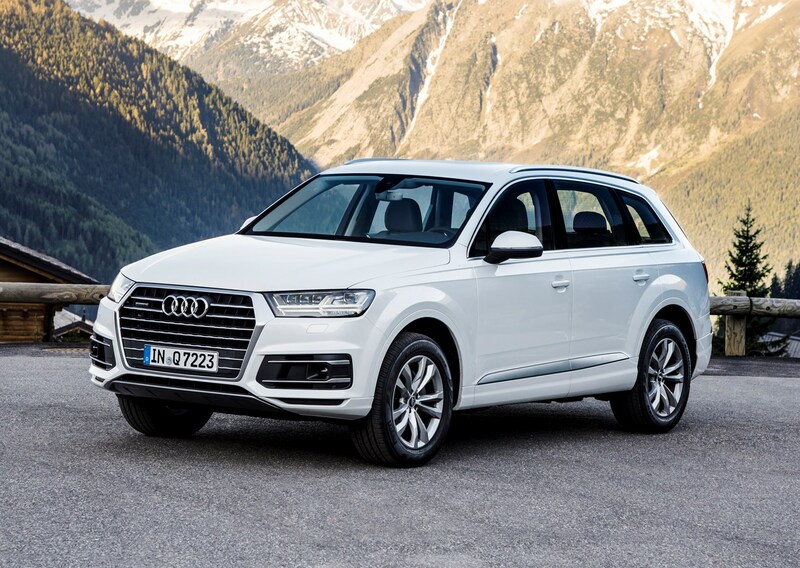 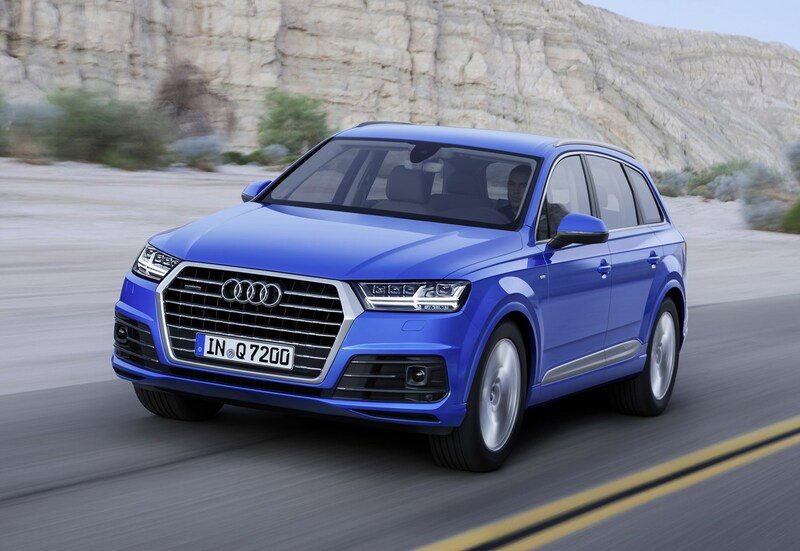 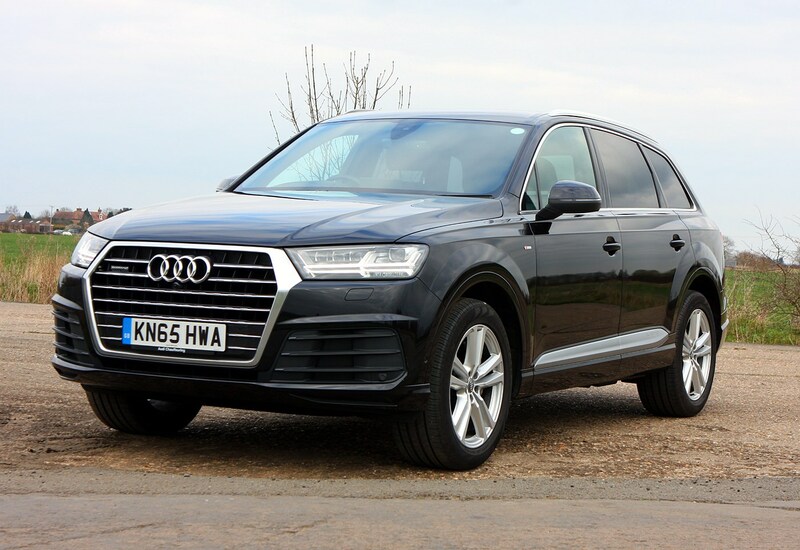 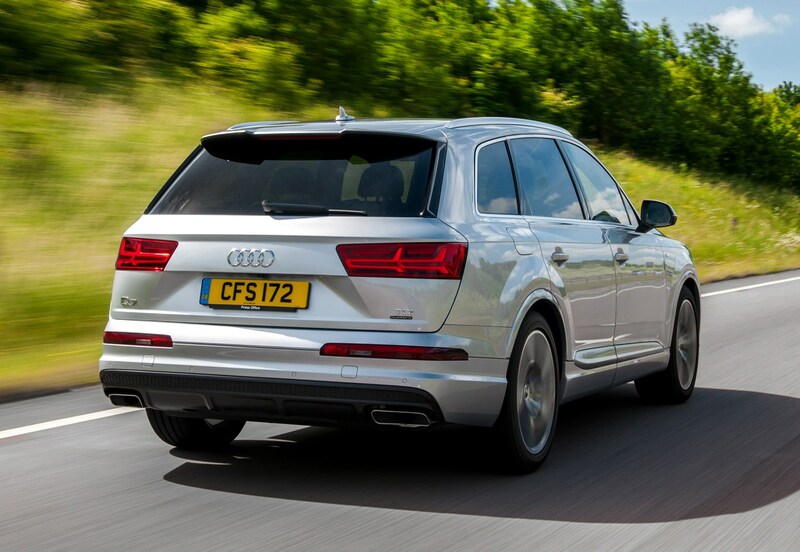 In 2015, the second-generation Q7 was introduced – with a much less imposing style, and a raft of updated technology. 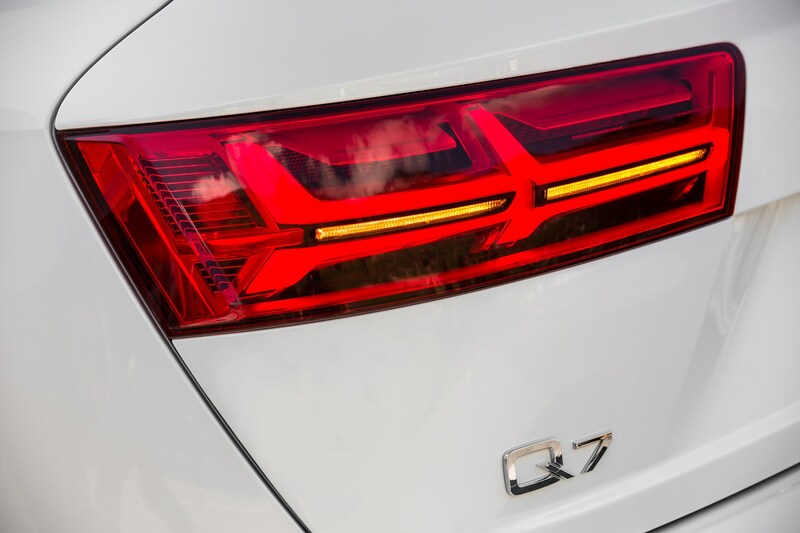 It's lighter, more efficient, better to drive than the Q7 it replaces – and the most technically advanced SUV yet from Audi until the Q8 arrives during 2018. 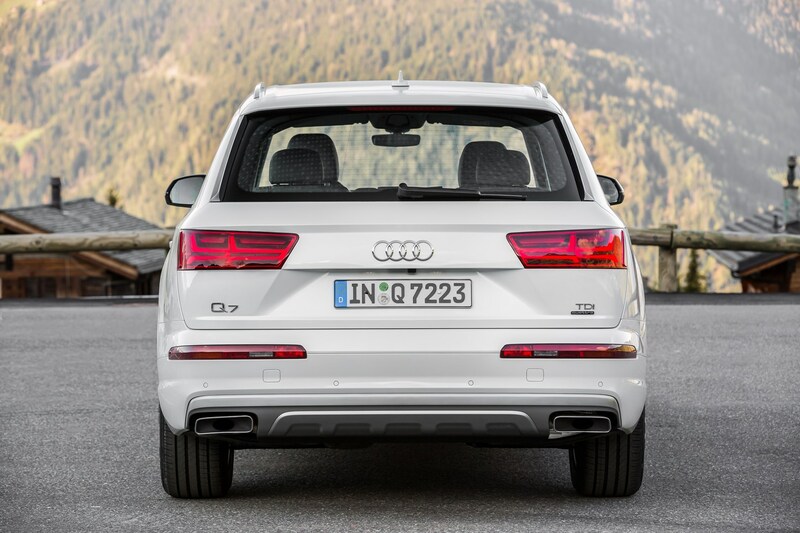 Audi has always been proud of its aluminium technology, first used extensively on the 1994 A8, and it’s no different with the Q7. 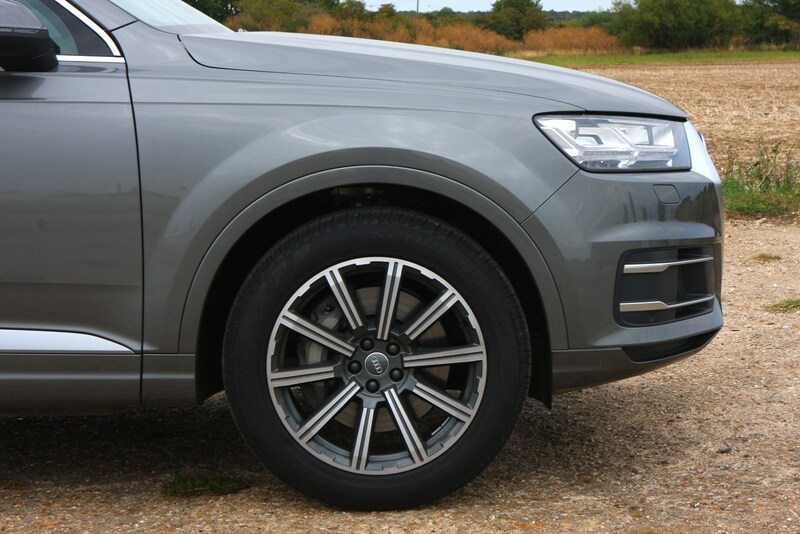 It's lighter by up to 325kg (depending on version), and this weight has been shed thanks to some very clever body engineering. 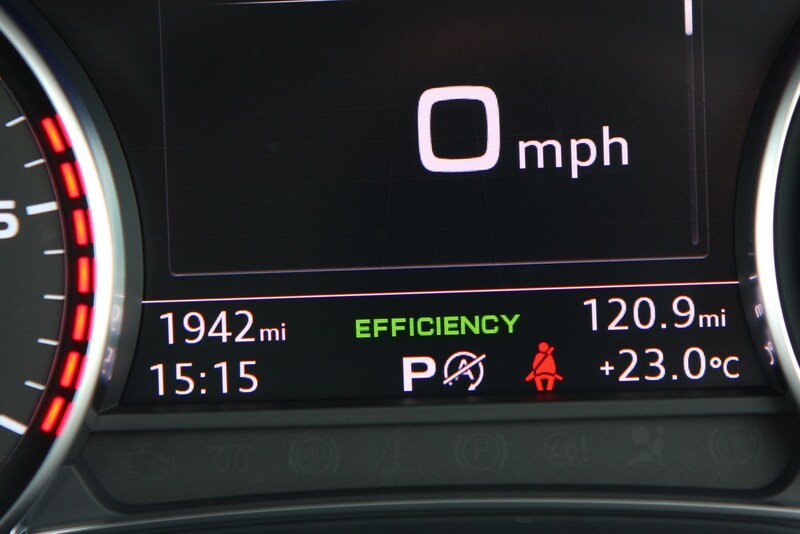 This ruthless approach to weight management means it's good to drive. 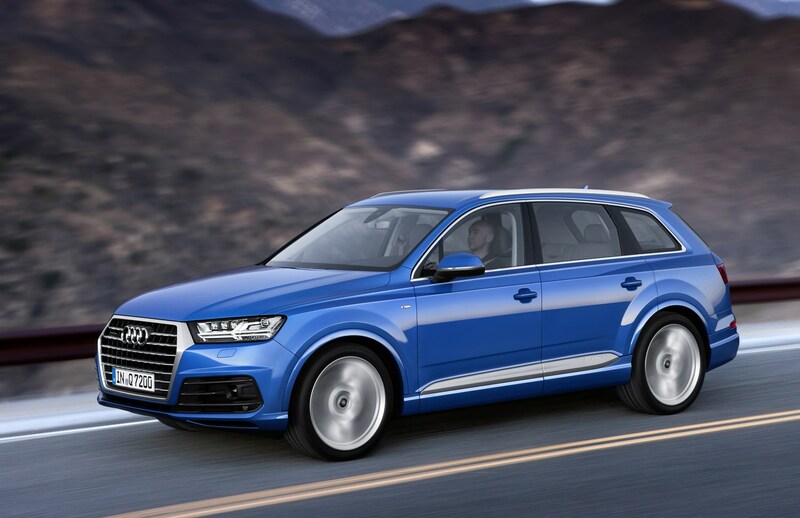 If you’re looking for a full-size SUV that feels no more taxing to pilot than a family hatchback, the Q7 is a worthy proposition. 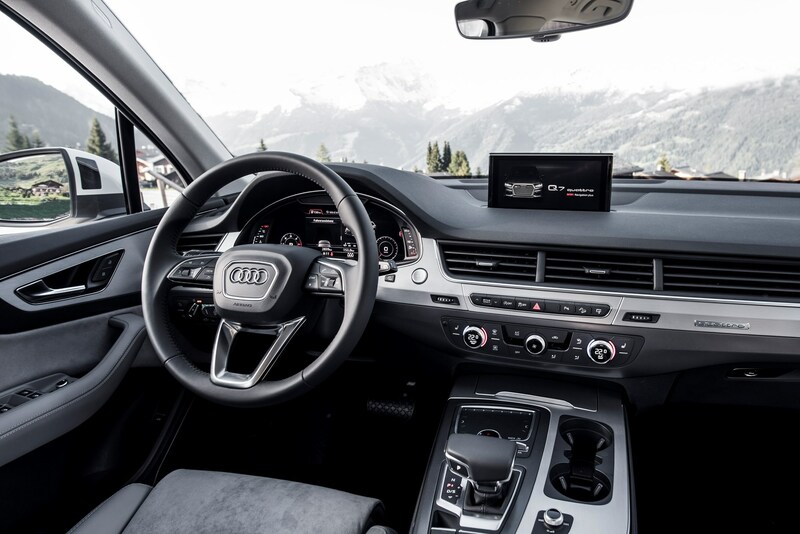 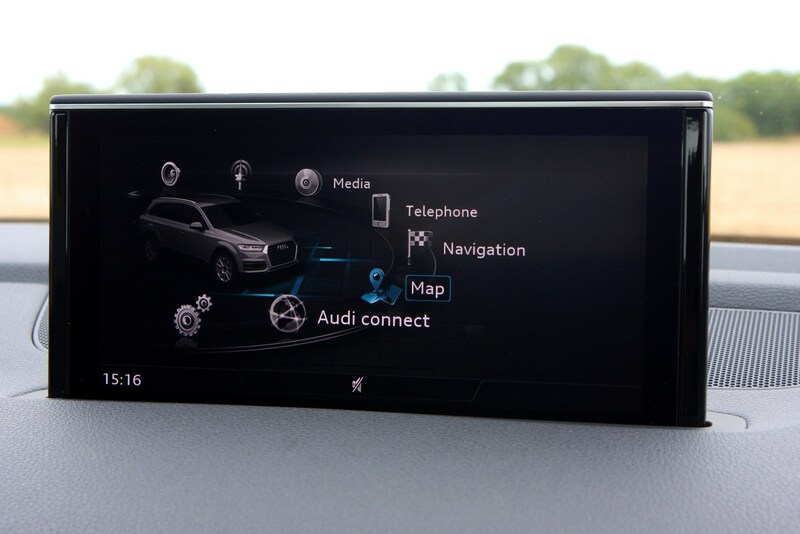 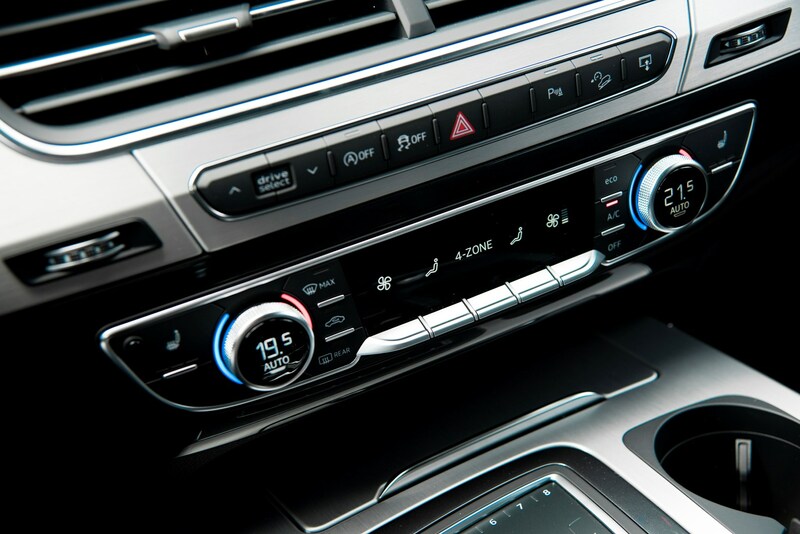 The Audi Q7 is packed with a vast array of technology. 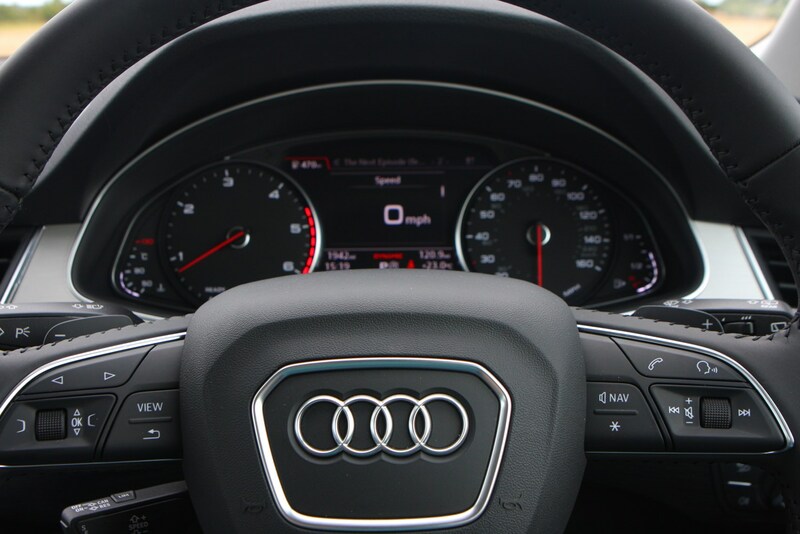 The four-wheel steering means that it feels more stable at speed. 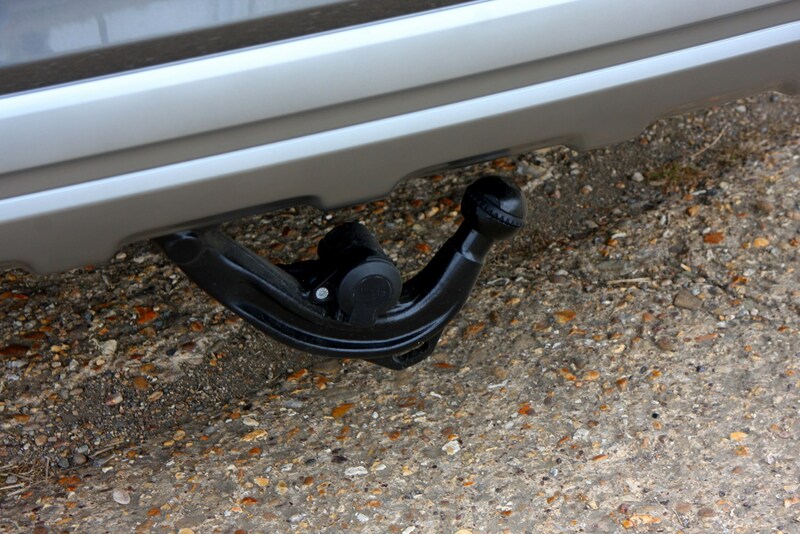 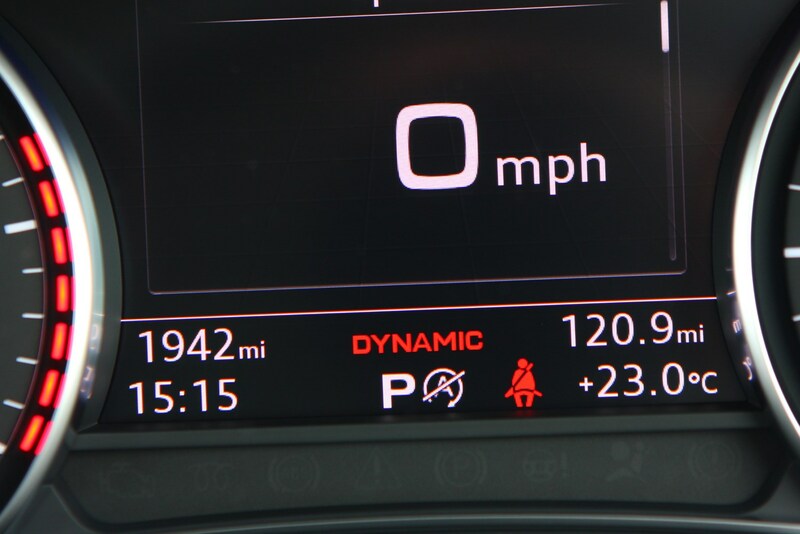 However, at less than 9.3mph the system turns the rear wheels in the opposing direction to the front axle direction, increasing agility and manoeuvrability. 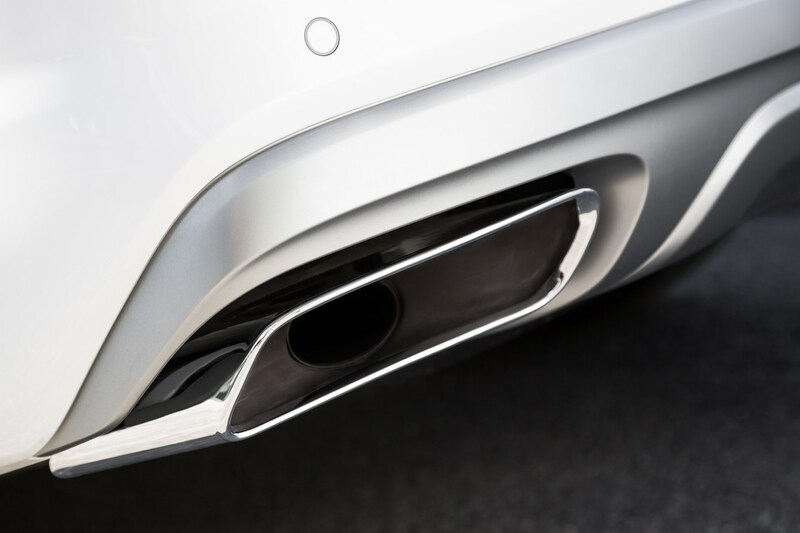 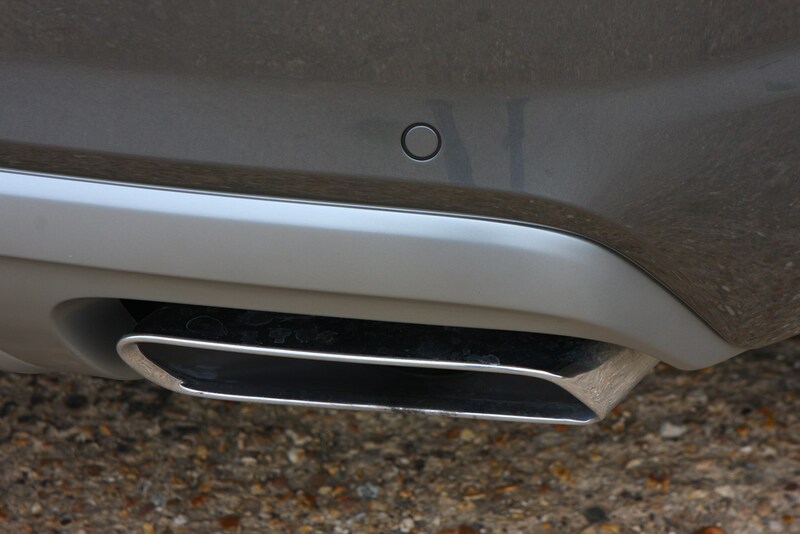 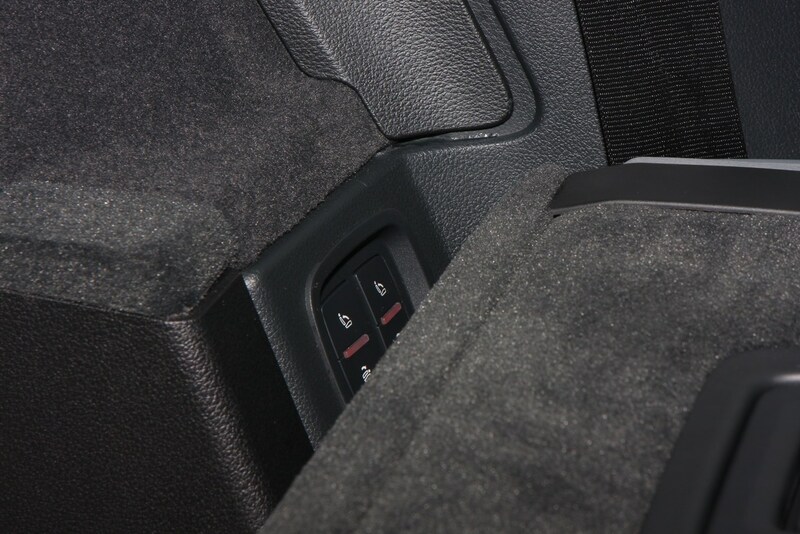 Optional adaptive air suspension, which keeps the car level, ensures it remains comfortable regardless of road surface, too. 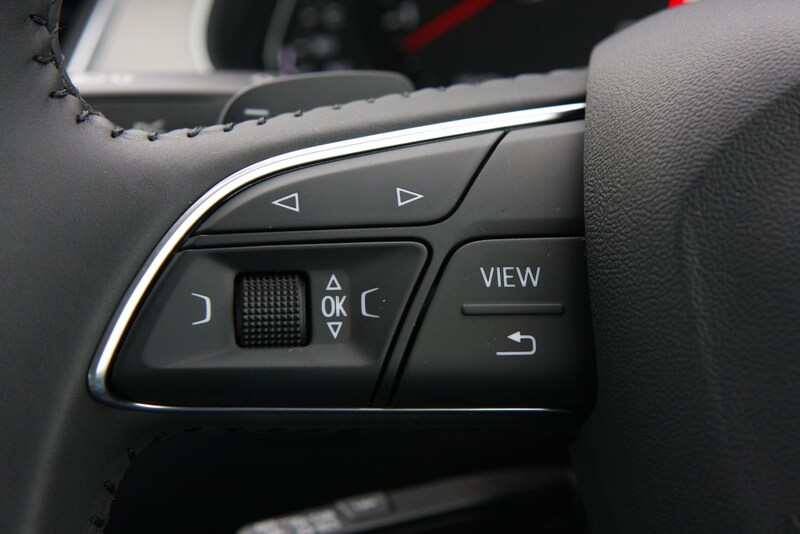 There’s an equally lengthy list of standard and optional safety kit, including warnings to stop you opening your door into oncoming traffic, autonomous emergency braking and adaptive cruise control. 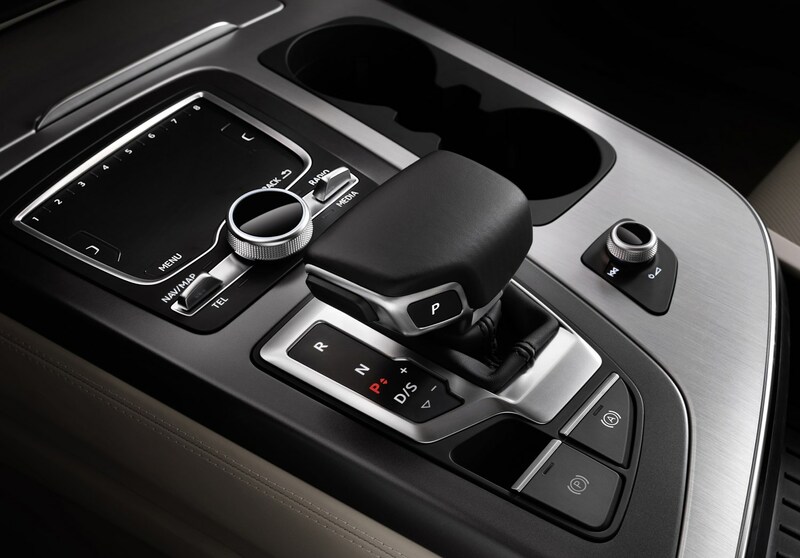 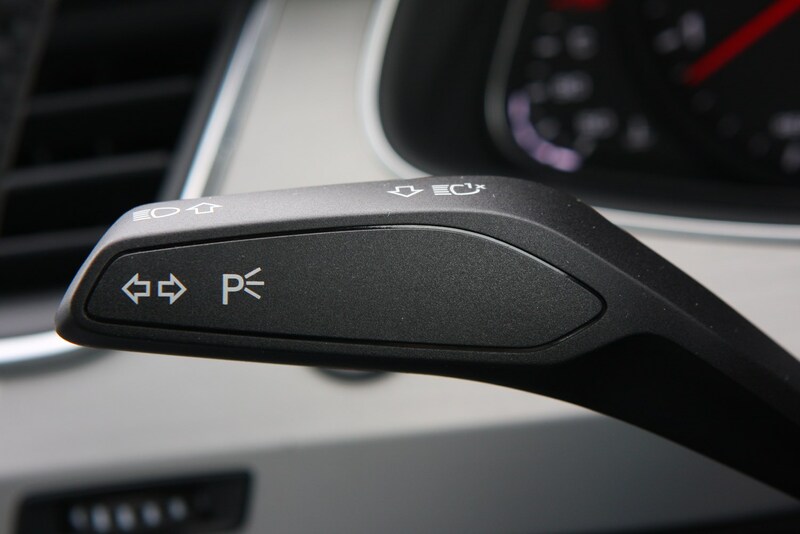 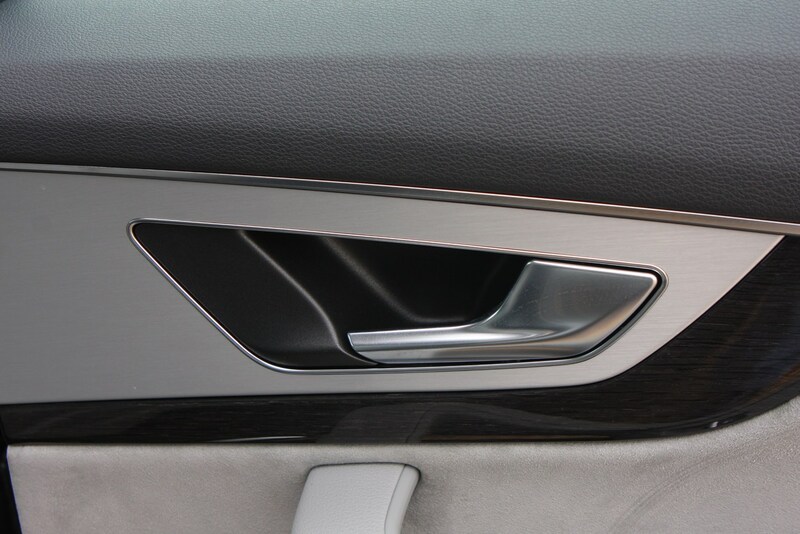 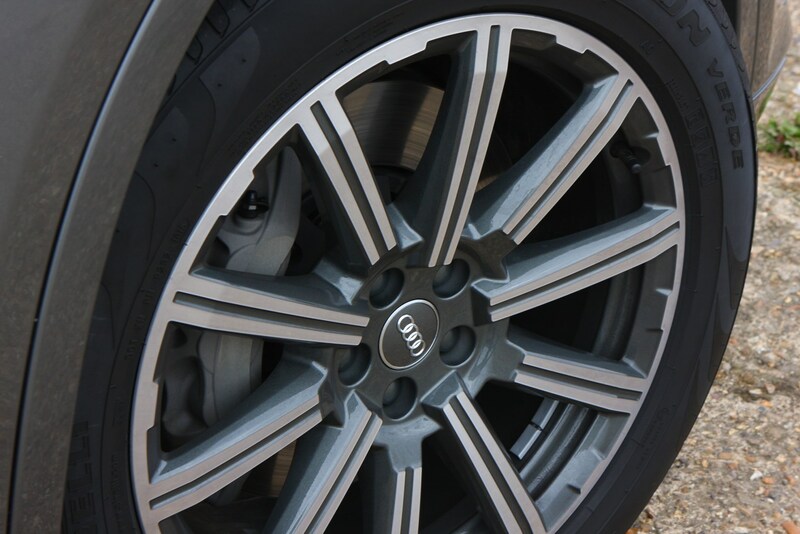 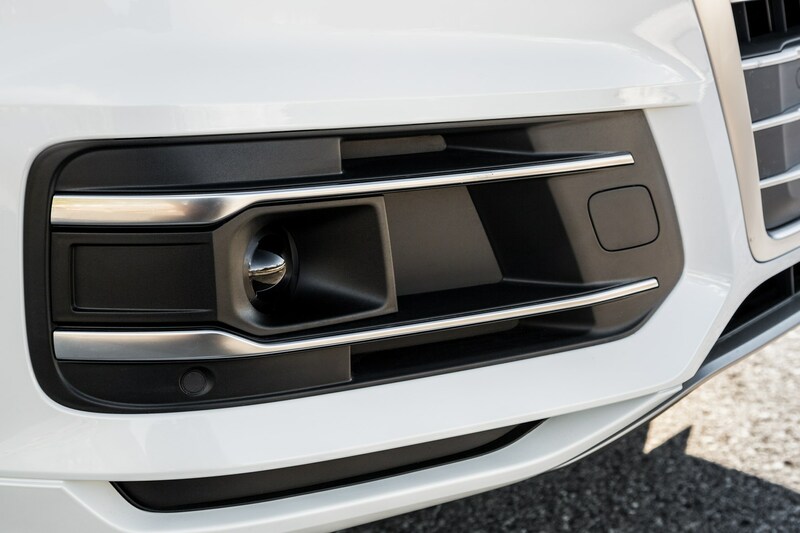 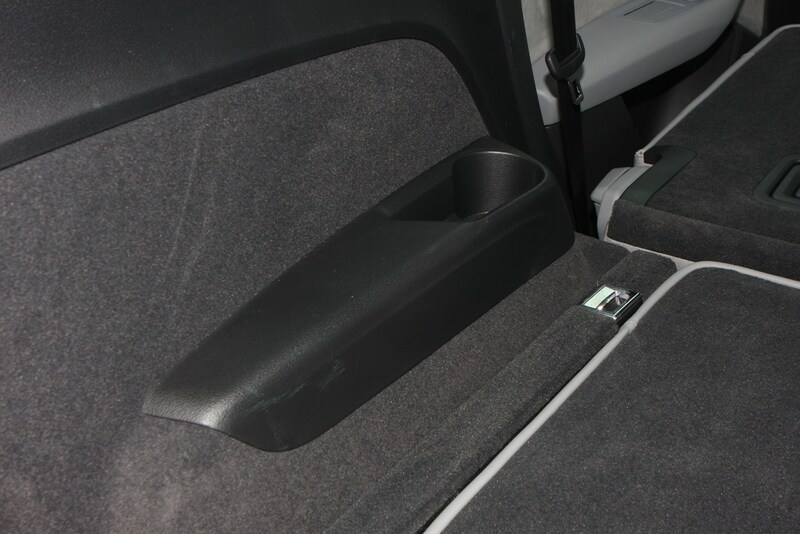 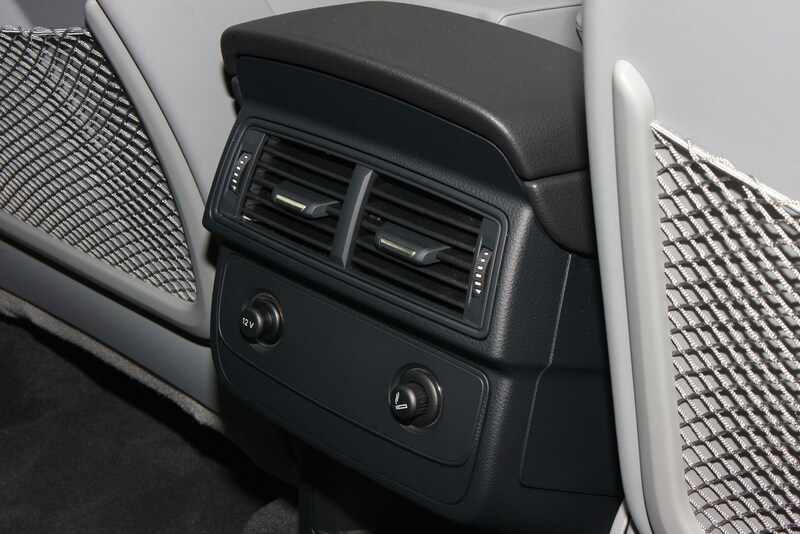 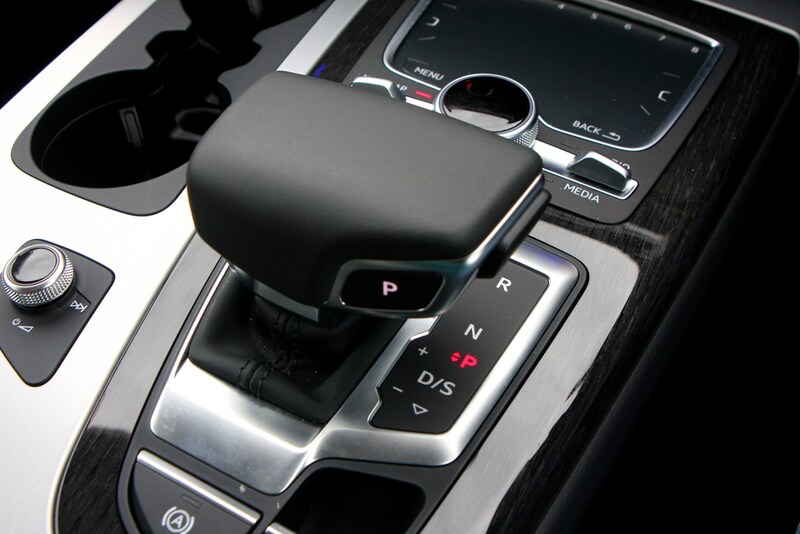 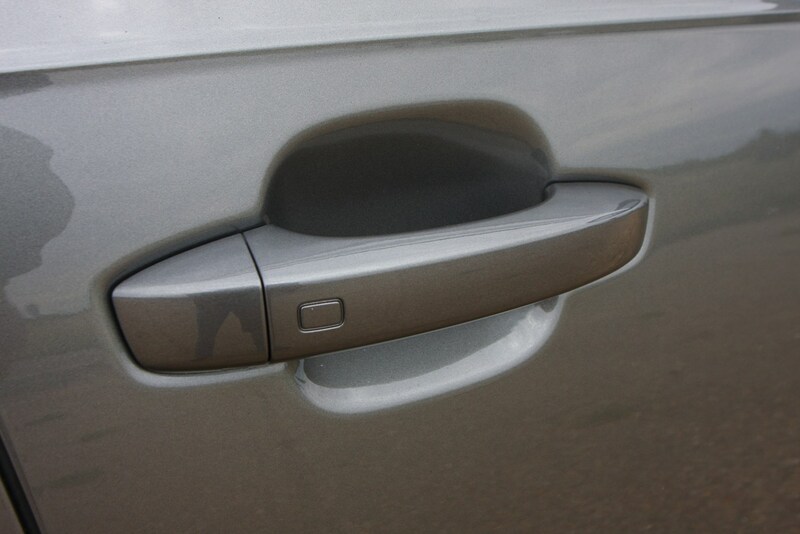 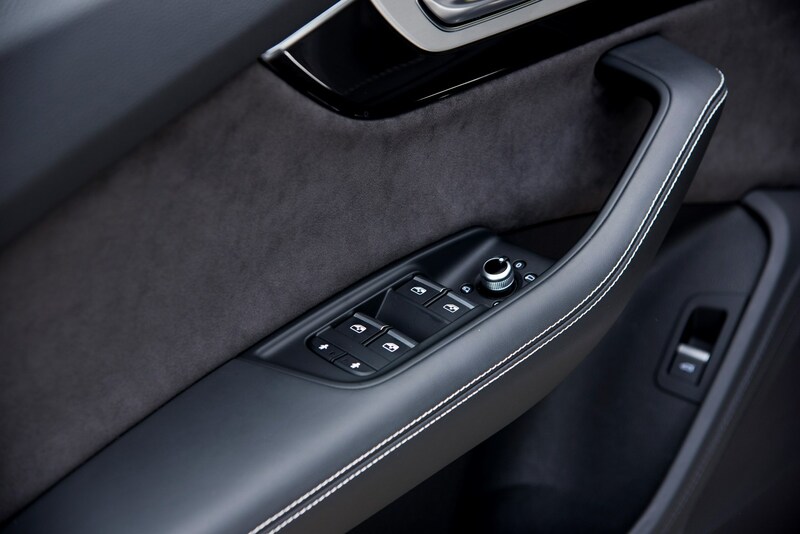 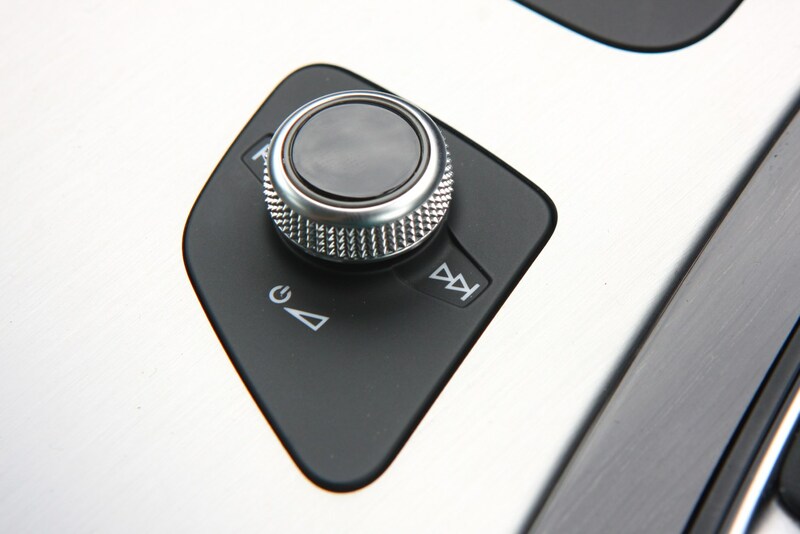 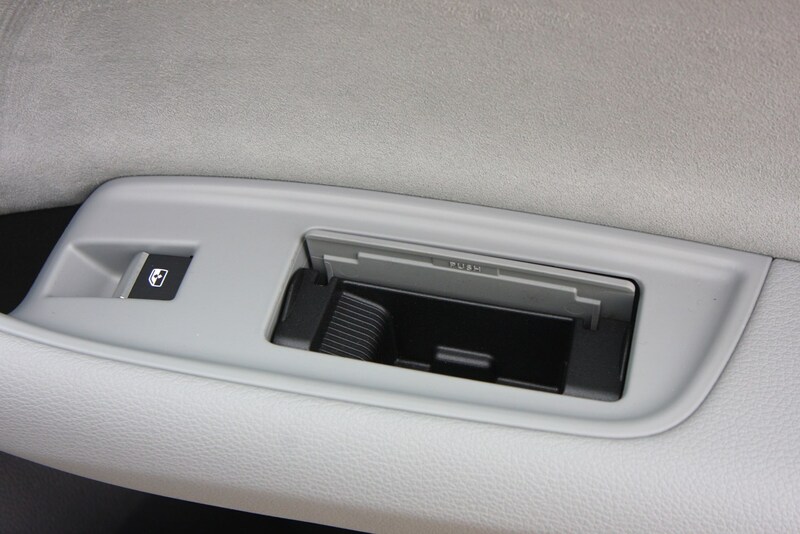 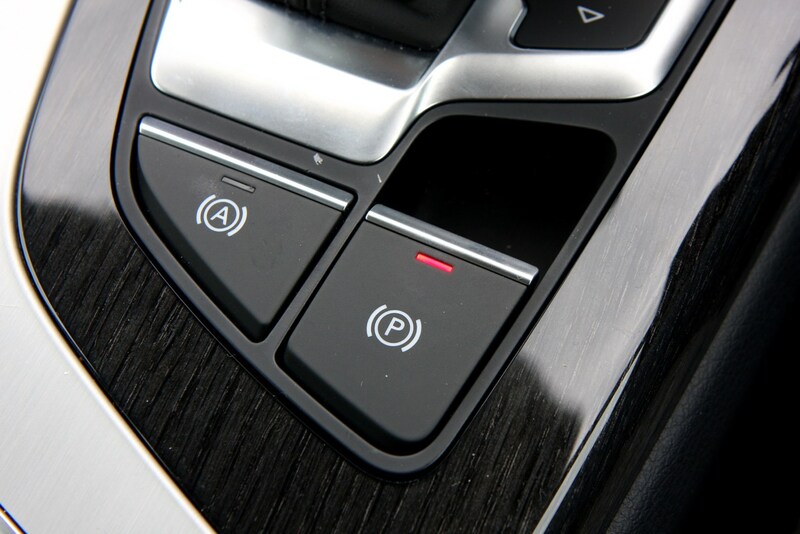 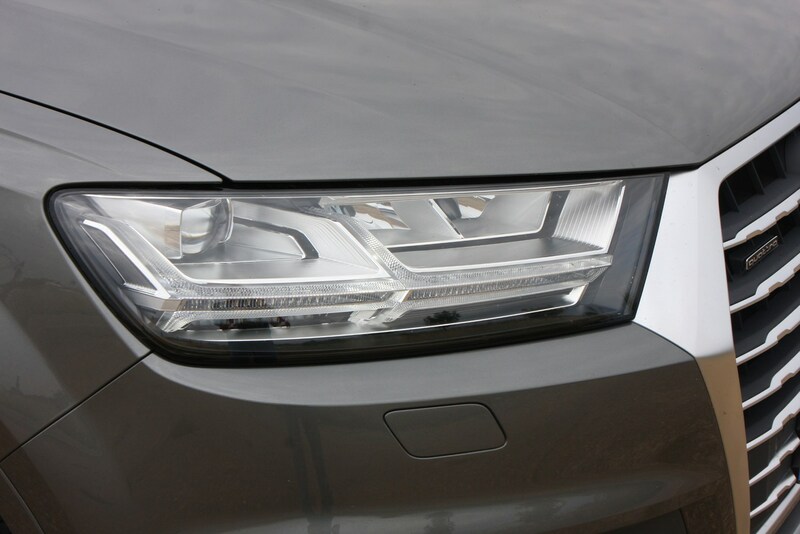 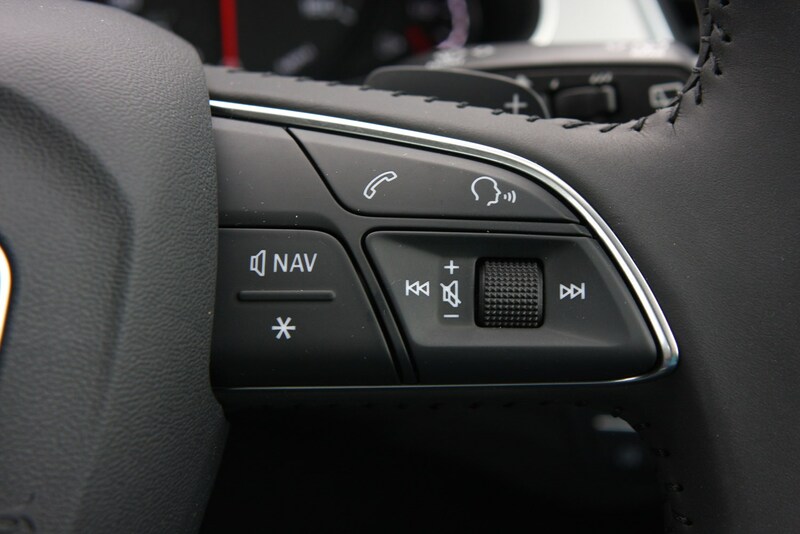 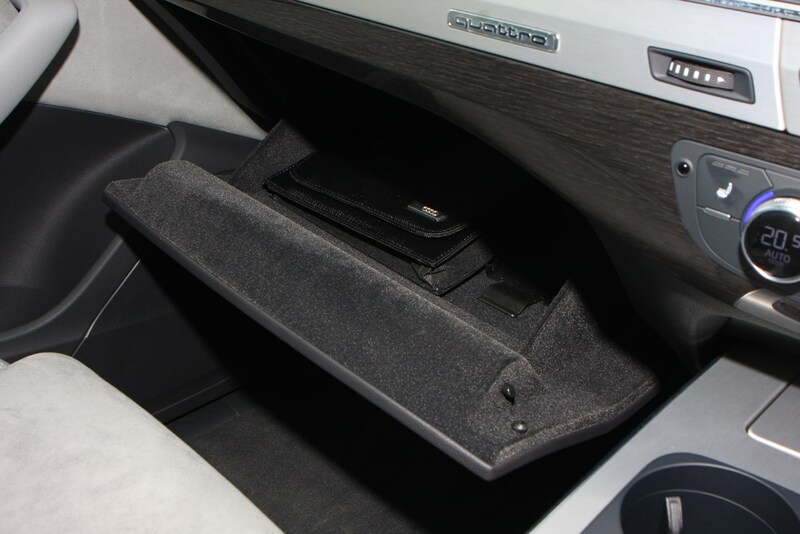 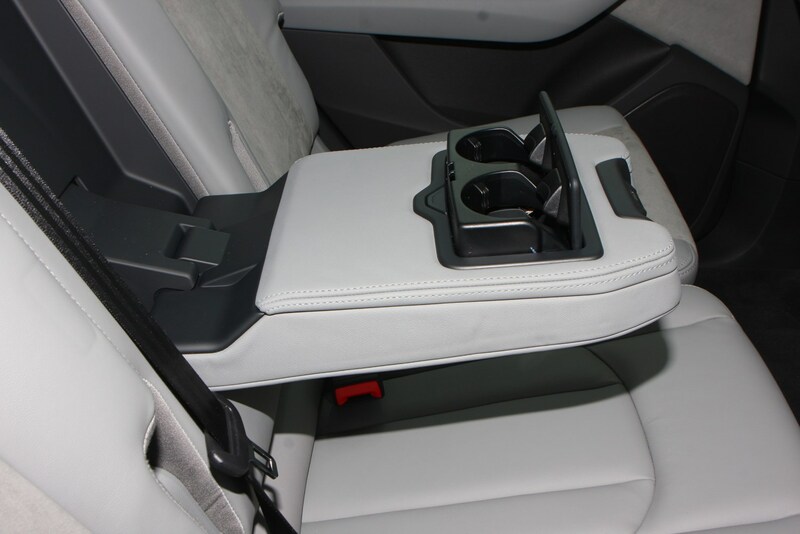 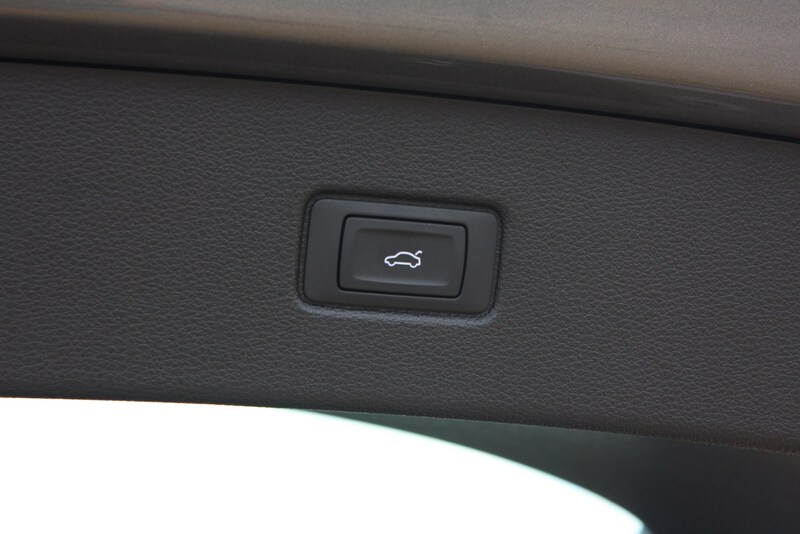 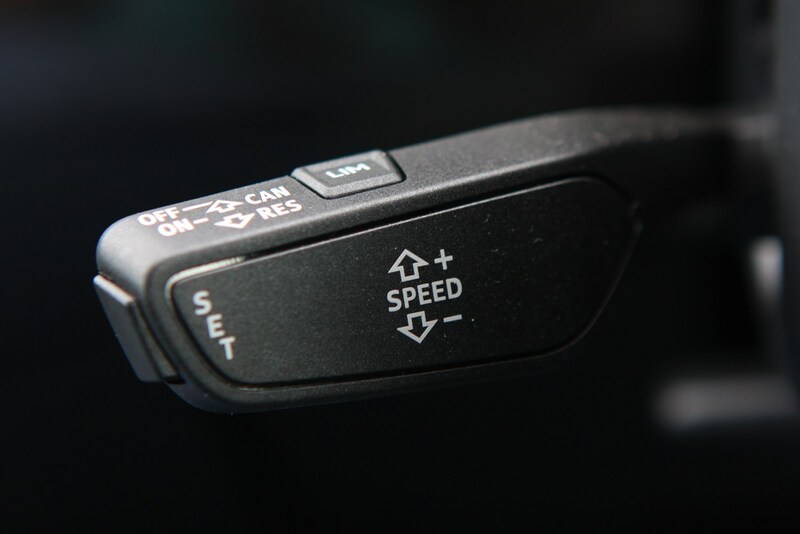 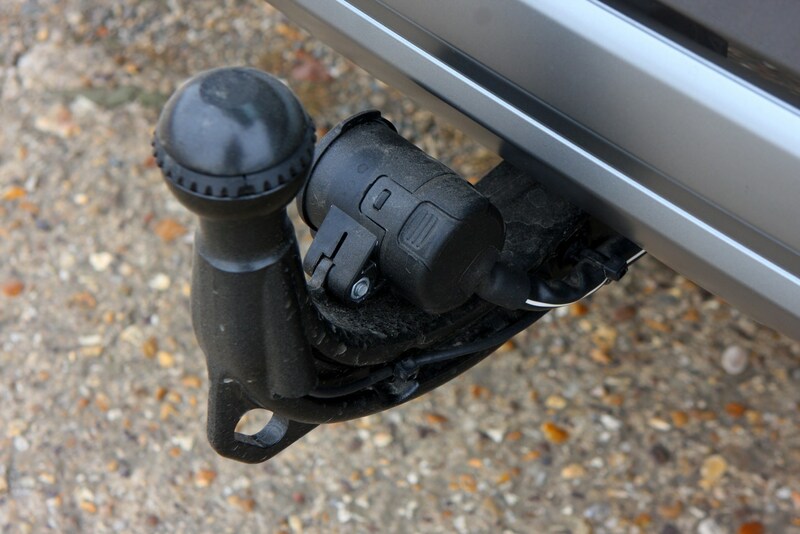 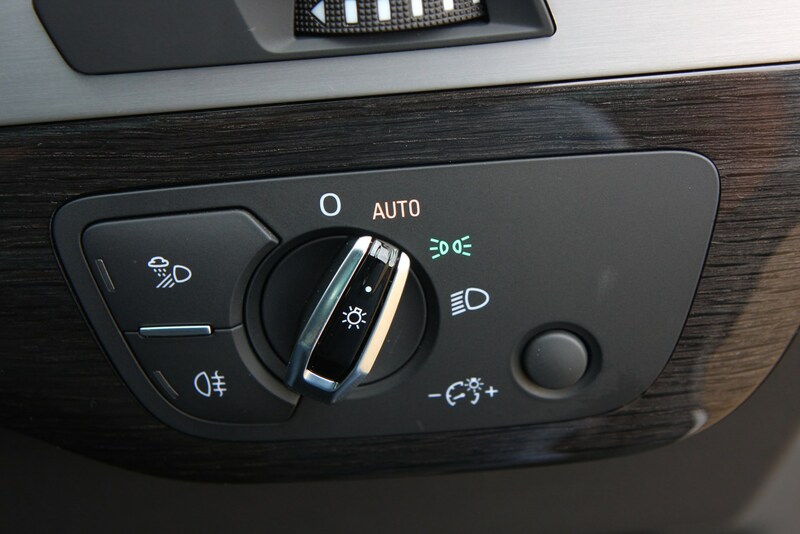 The Audi Q7 was among the first cars to feature these driver aids. 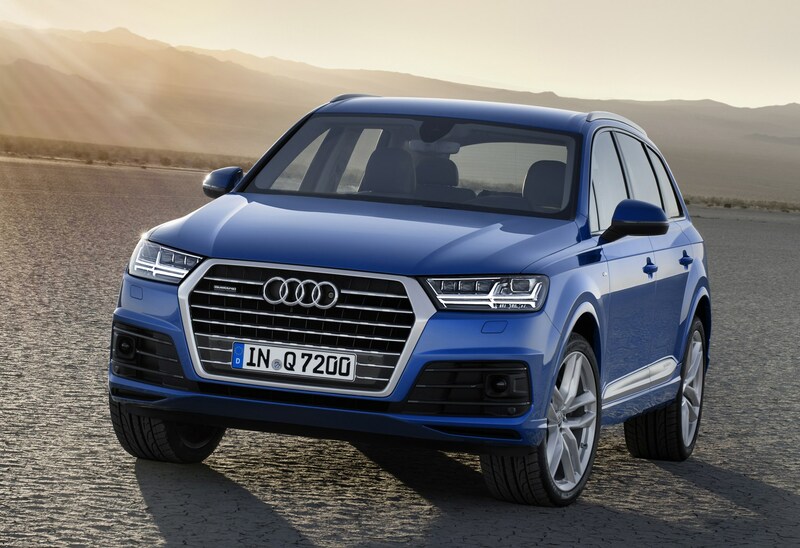 But it goes even further – the Q7 will even park itself, and the Trailer Manoeuvre Assist makes short work of reversing anything you may be towing. 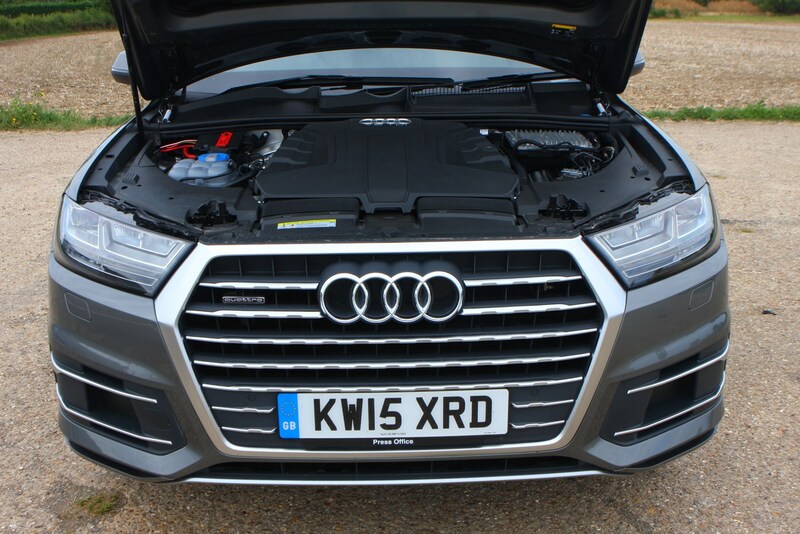 Only two engine options were available in the UK from launch, both 3.0-litre diesels with differing outputs of 212hp and 265hp. 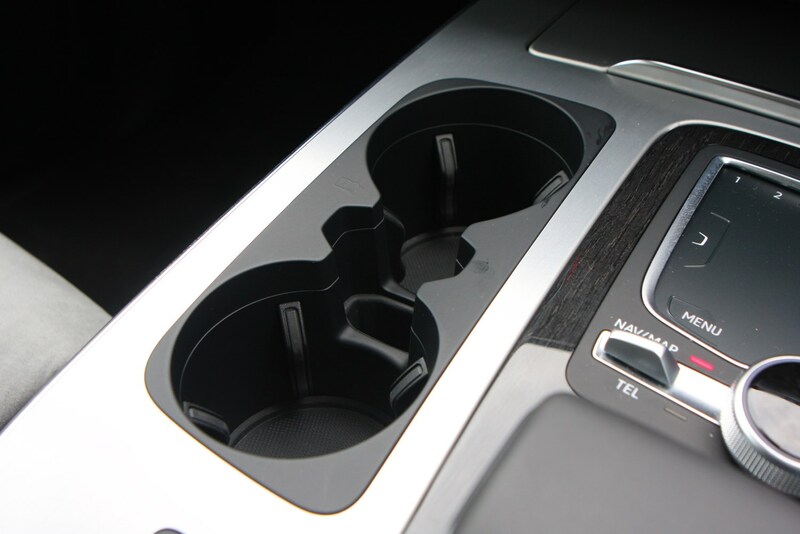 Truth be told the former can feel a little under-endowed, while the latter is far more suited to the car’s bulk. 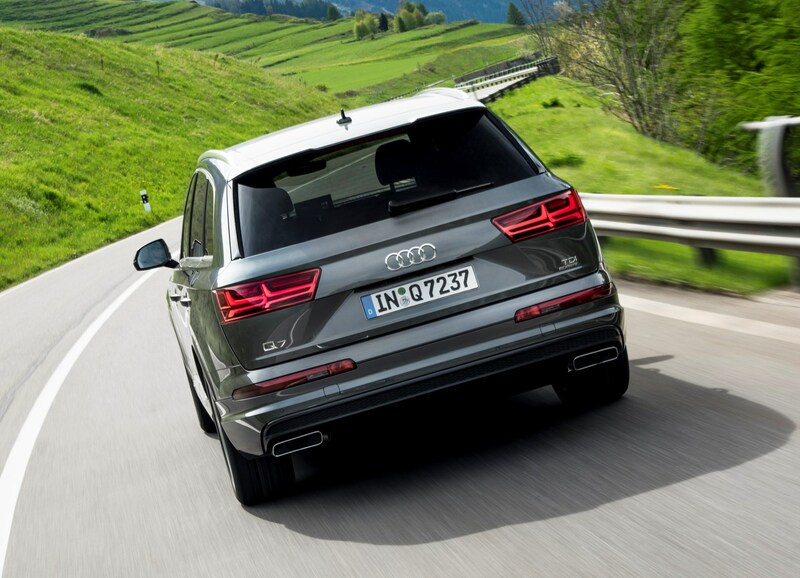 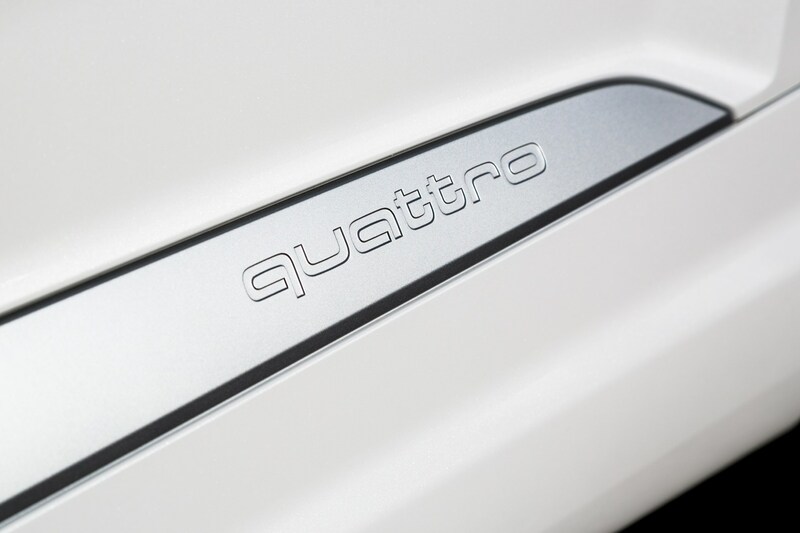 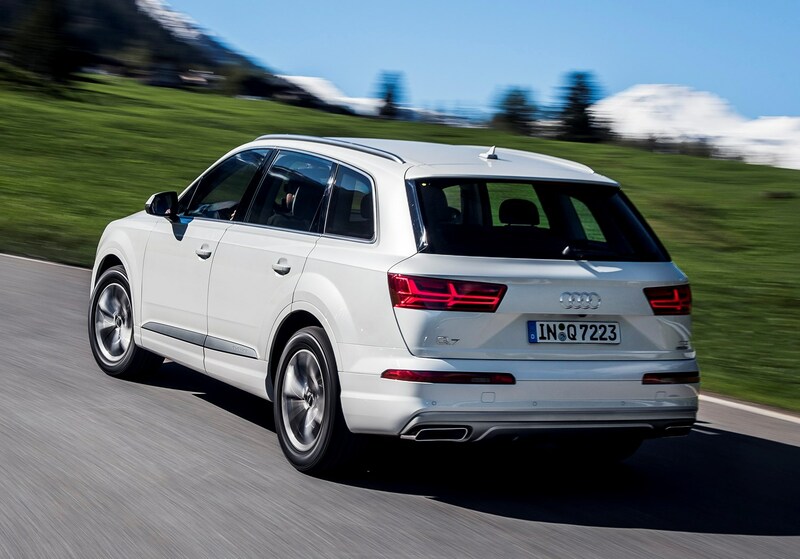 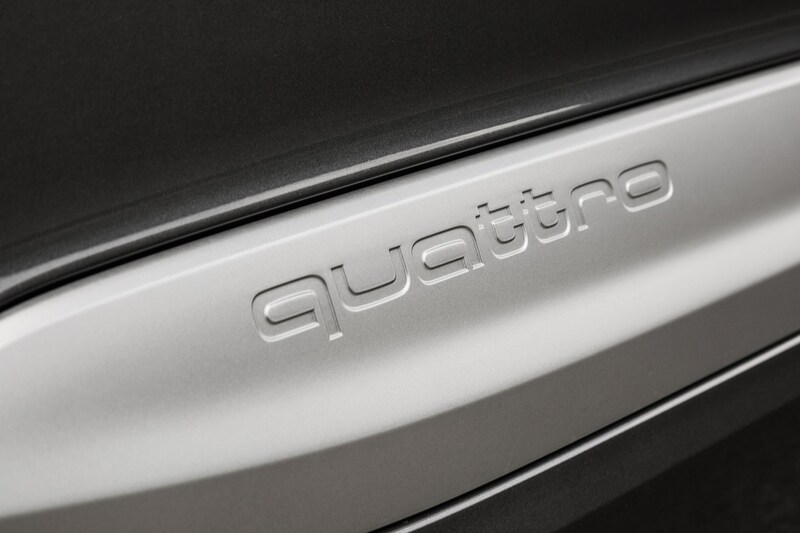 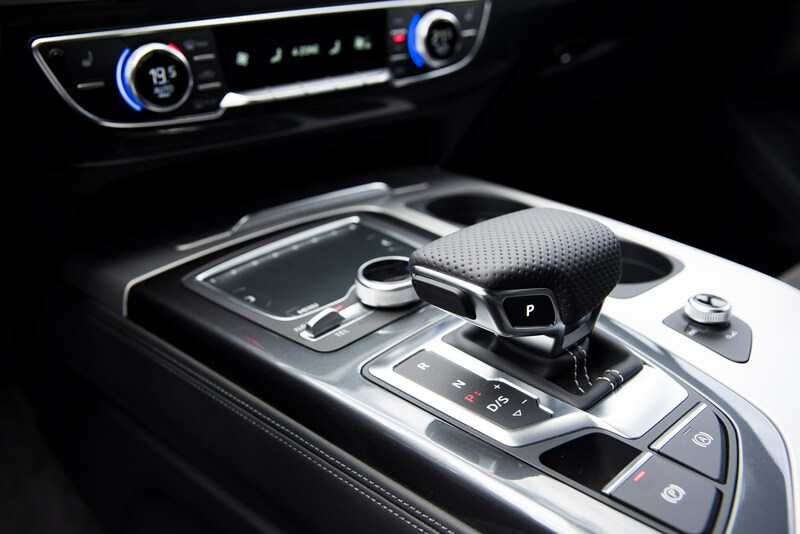 An efficient and smooth-shifting eight-speed automatic gearbox transmits that power to all four wheels – Quattro is standard on this car – and the Q7 comes with hill descent control as standard. 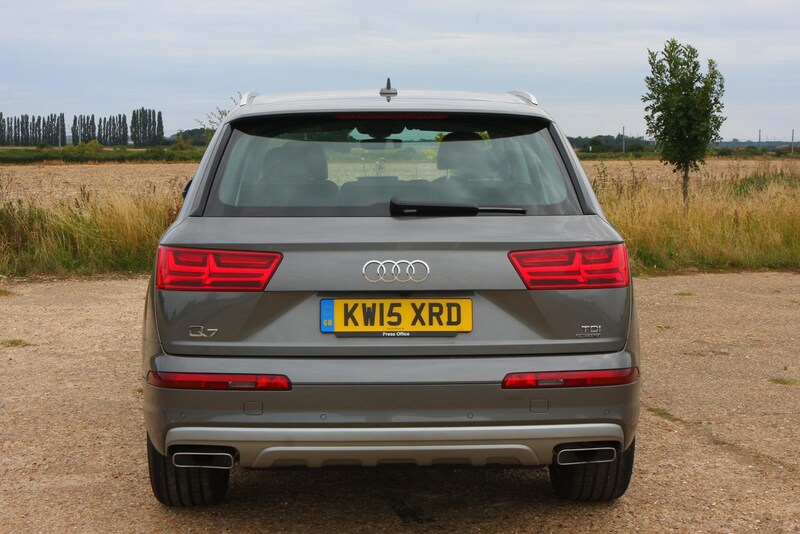 Not that many owners will venture off the beaten track, but it's good to know it will if it has to. 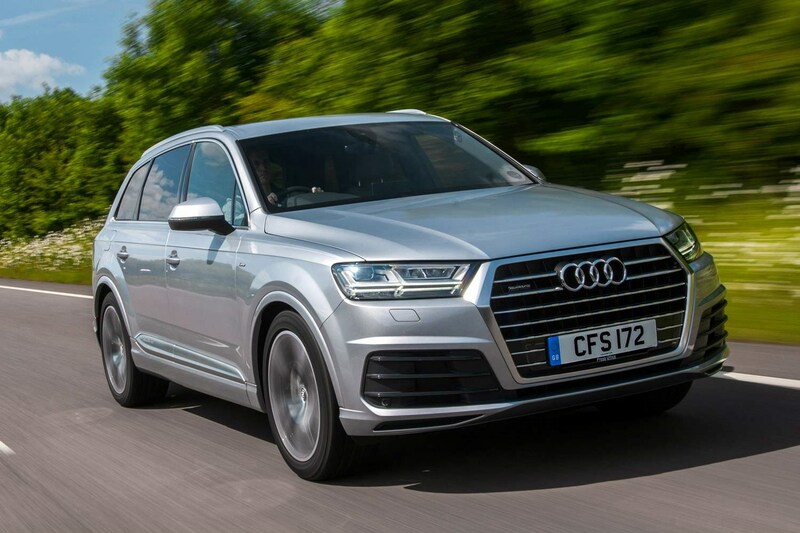 In May 2016 ordering started for the Q7 E-Tron – a plug-in hybrid version of the SUV that claims astonishing fuel economy of 156mpg (though you’re unlikely to hit that in real life) and CO2 output of 48g/km, which means it qualified for all sorts of tax breaks. 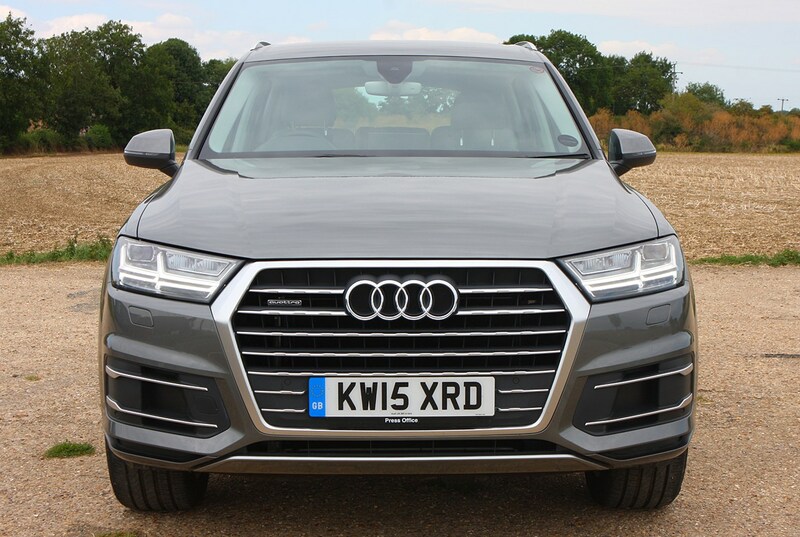 This was a relatively early plug-in hybrid diesel-electric SUV, but with a claimed electrical range of up to 34 miles and total system output the equivalent of 373hp and 700Nm, it was a viable proposition for many buyers. 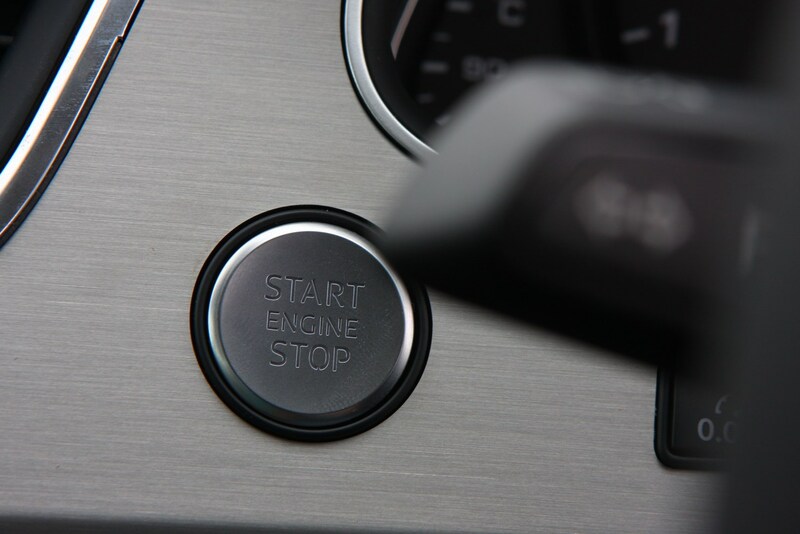 Its early years were hampered with some reliability issues as a result of the technology’s infancy, though. 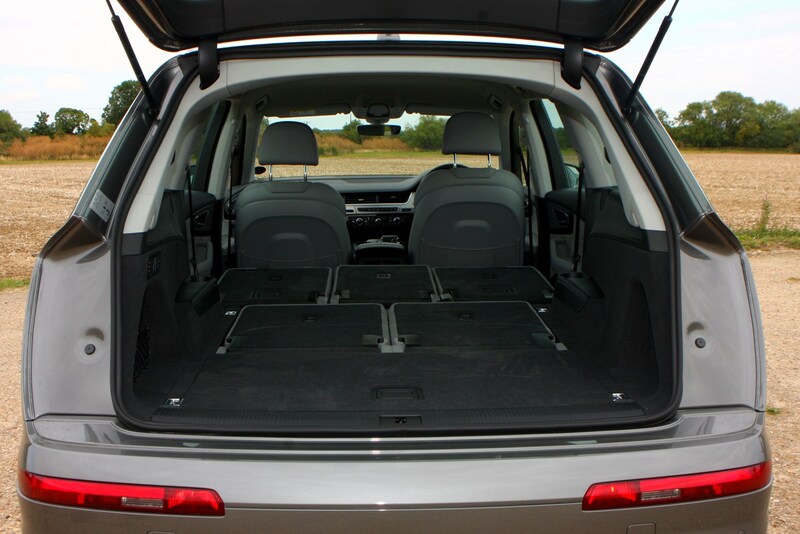 It was also only available with five seats due to the space required under the boot for the batteries. 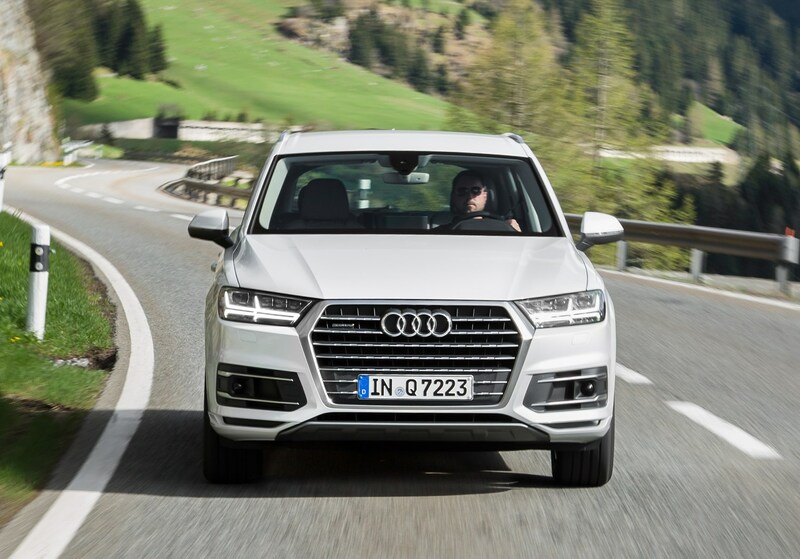 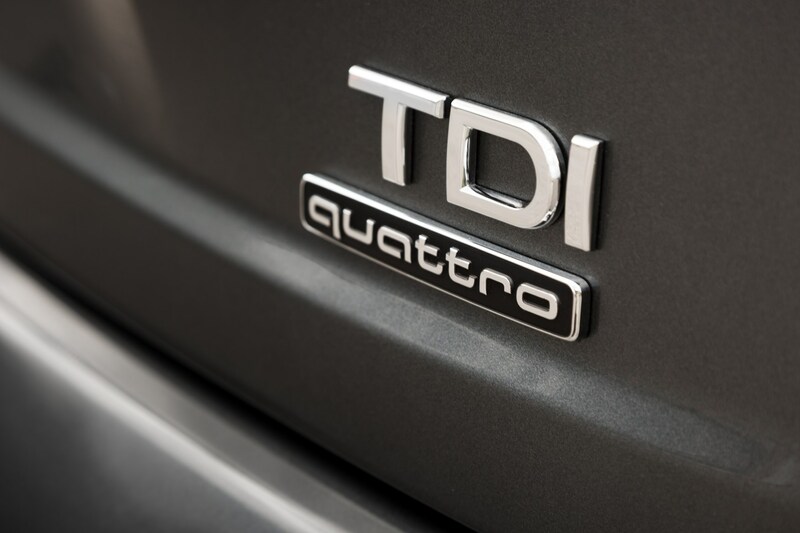 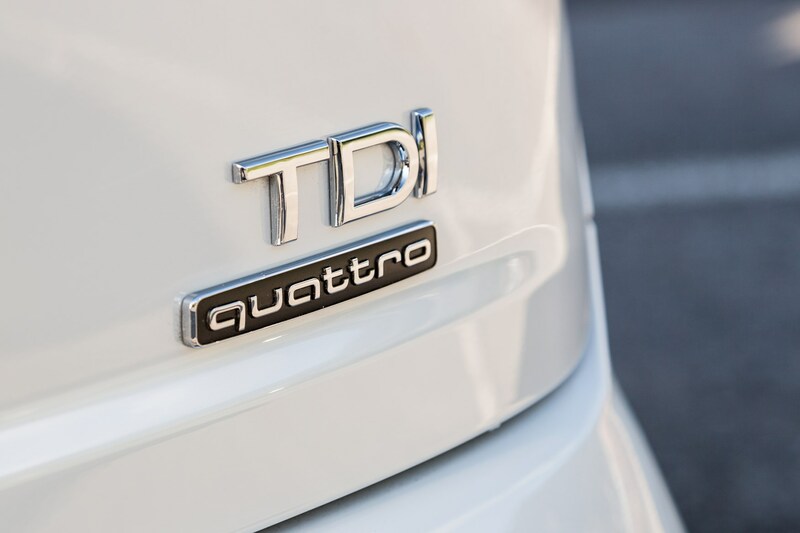 In July 2016 order books opened for the Audi SQ7 TDI, with deliveries beginning the following August. 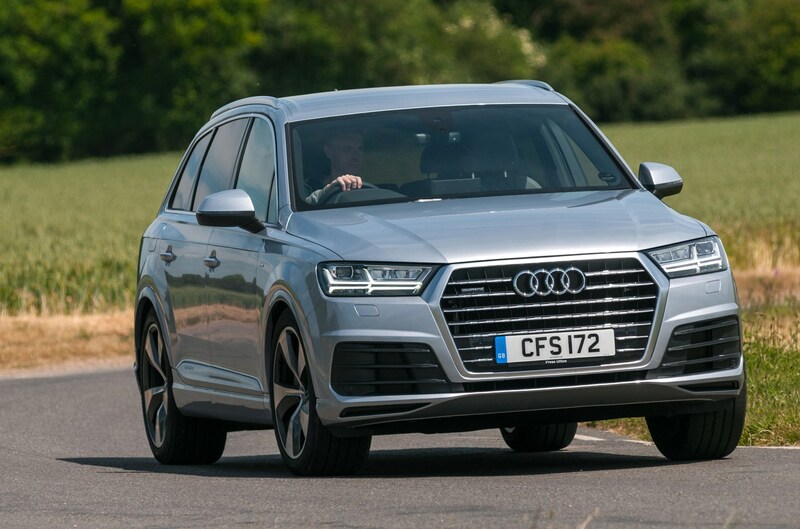 This high-performance SUV weighs 2.2 tonnes, but thanks to a hugely impressive and technologically advanced 435hp/900Nm 4.0-litre V8 twin-turbocharged diesel engine featuring an air compressor for better responses, you can expect 0-62mph will flash by in as little as 4.9 seconds. 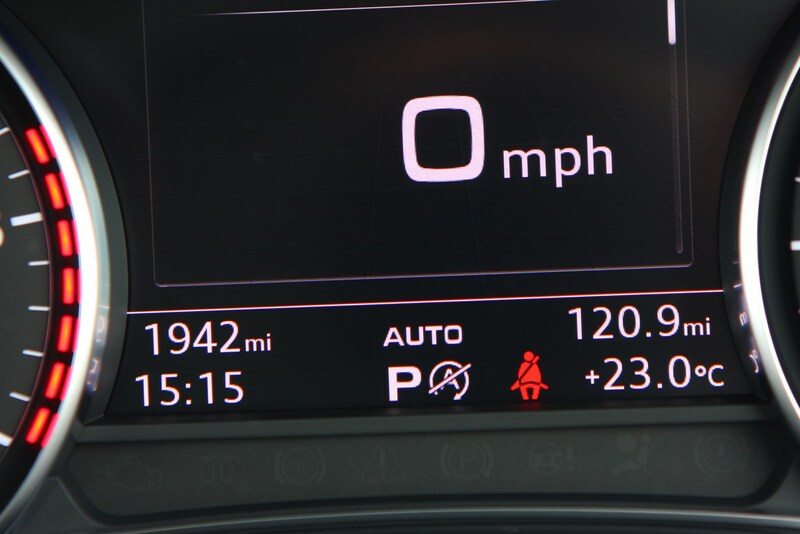 That’s as quick as a lot of sports cars. 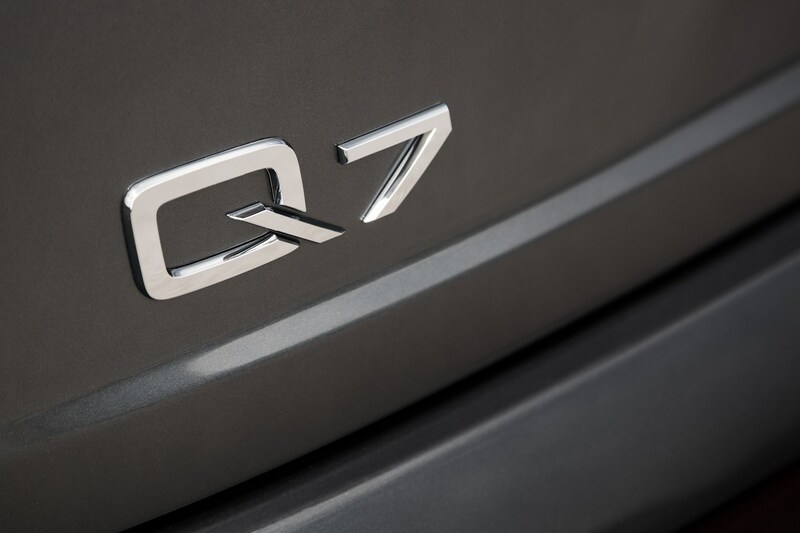 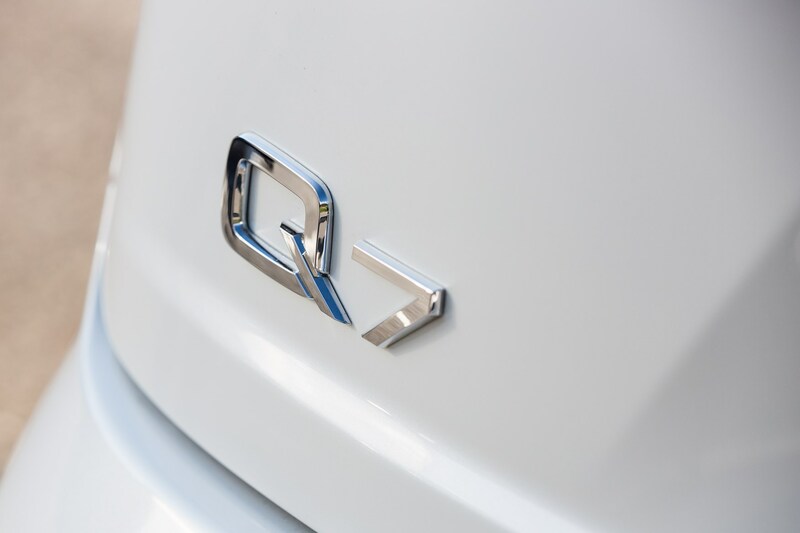 Thanks to a 48-volt electrical system you can also order the SQ7 with active anti-roll technology that keeps it as flat as possible when cornering at high speeds. 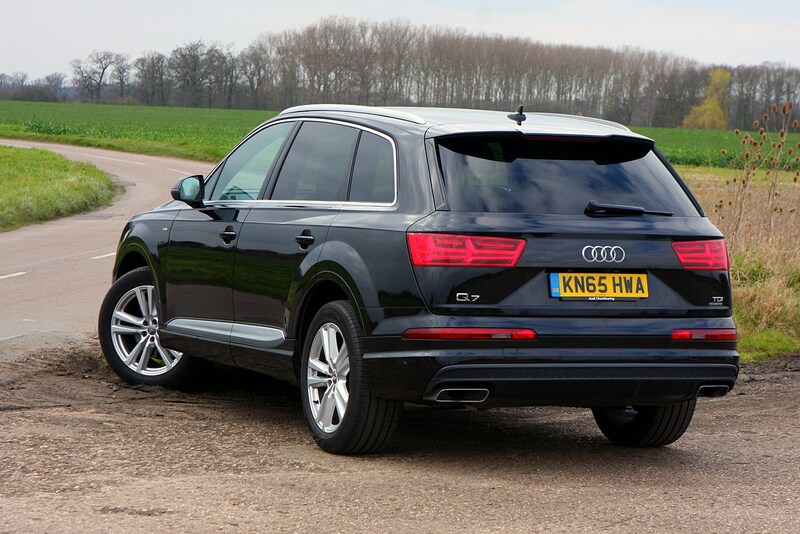 This is a highly impressive car in its own right. 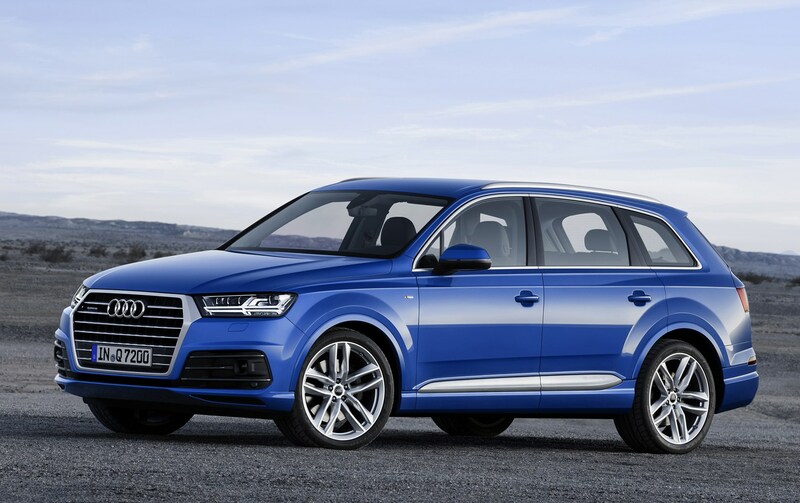 Is the Audi Q7 a seven-seater? 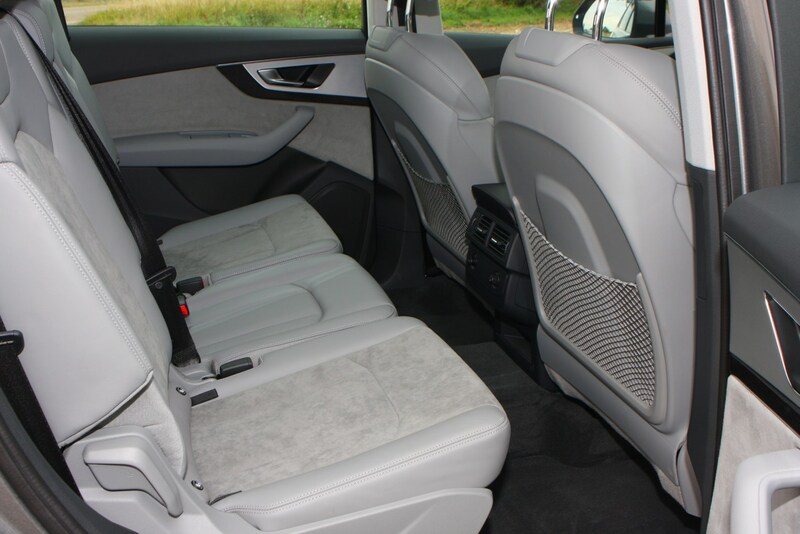 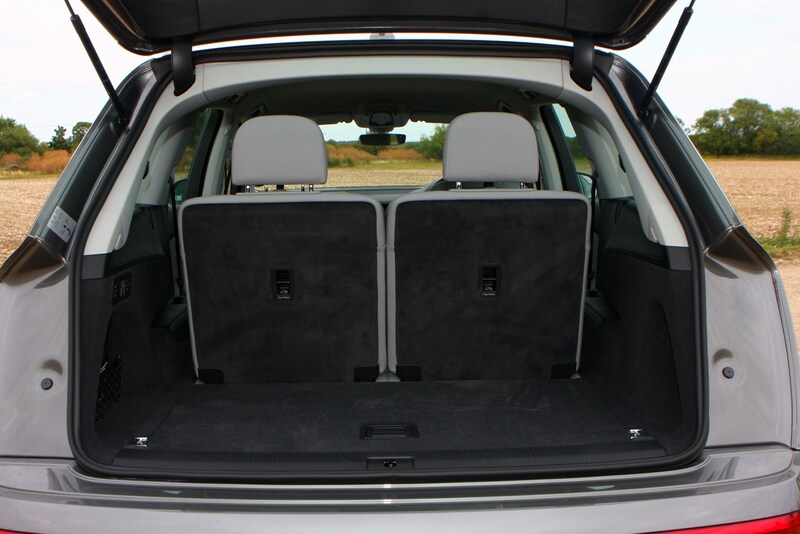 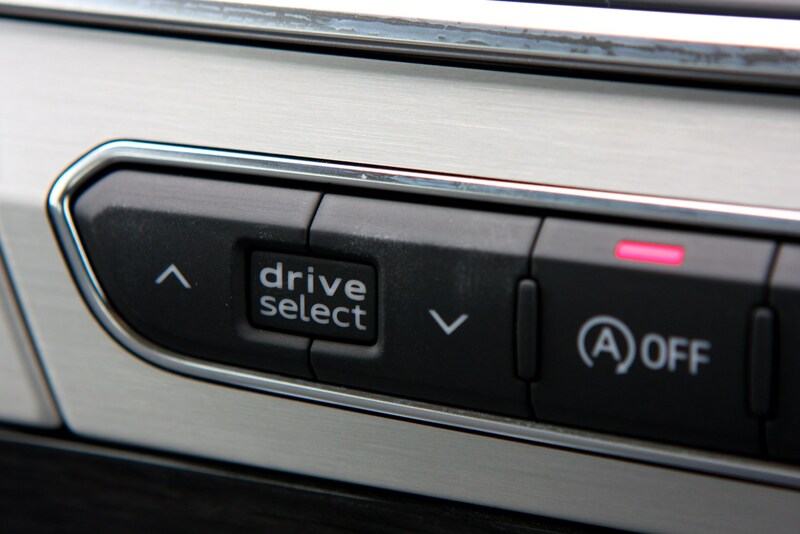 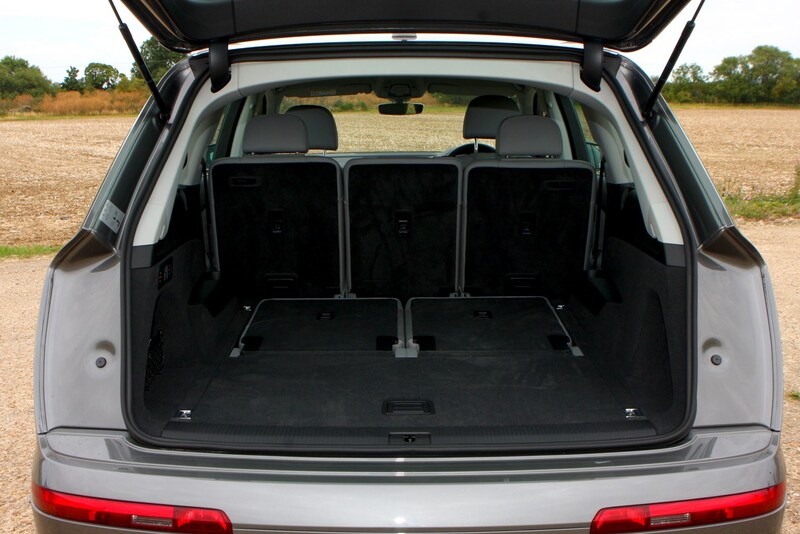 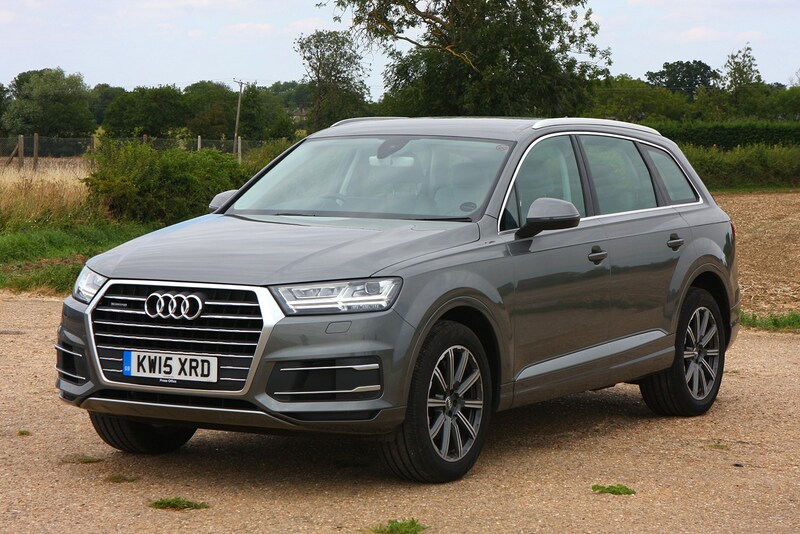 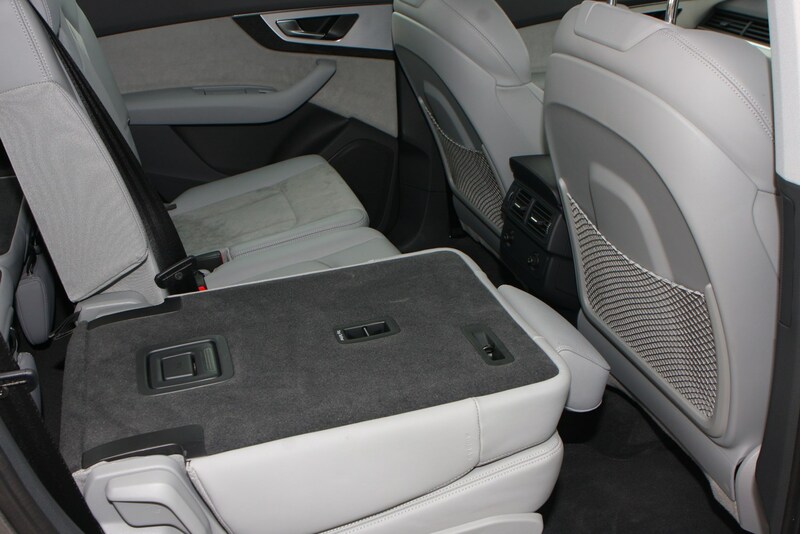 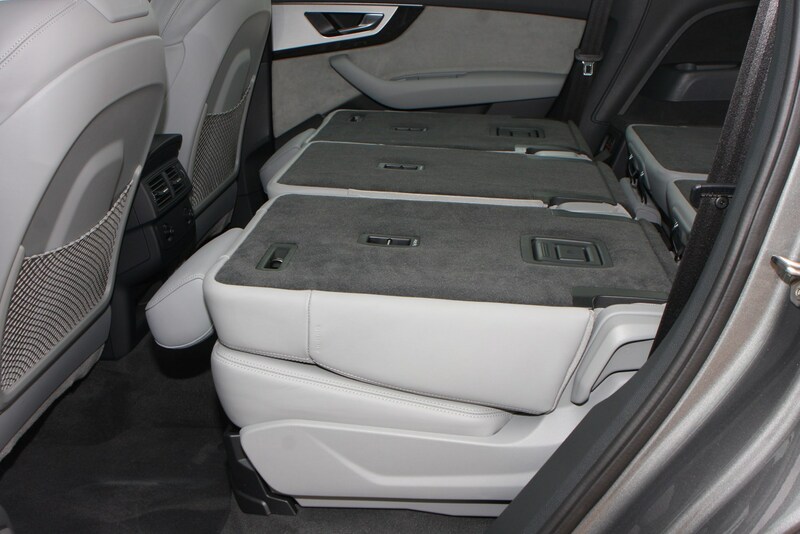 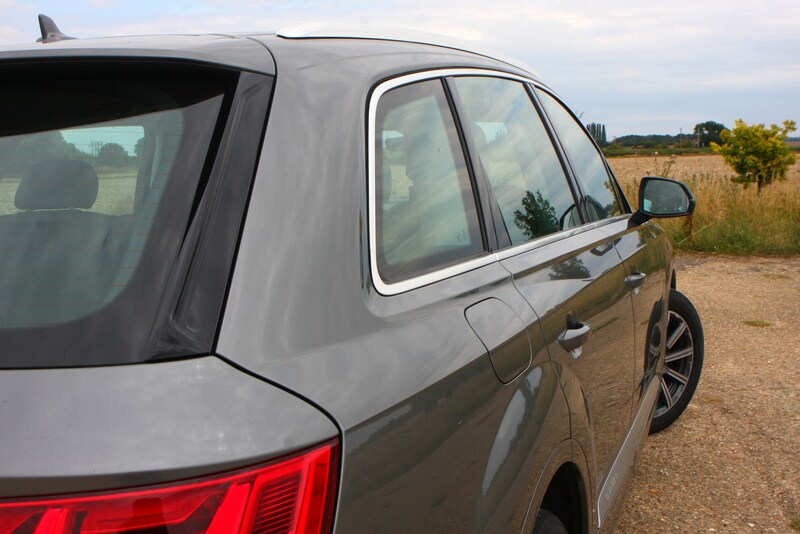 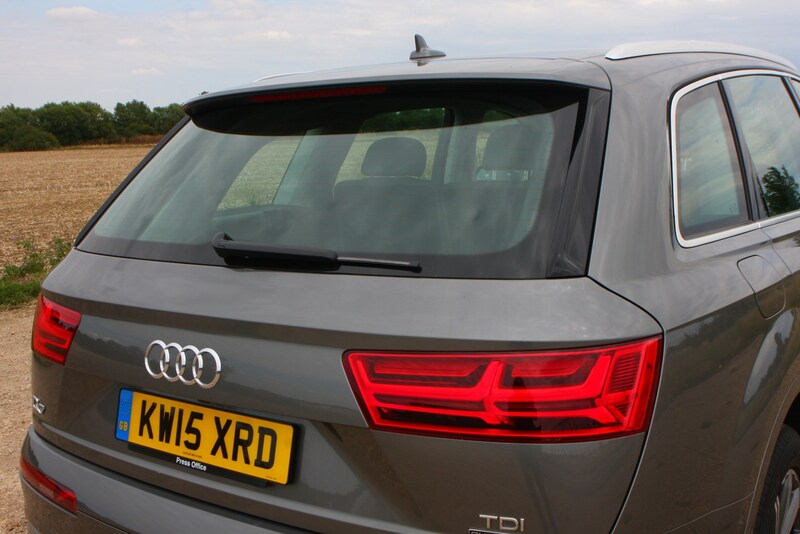 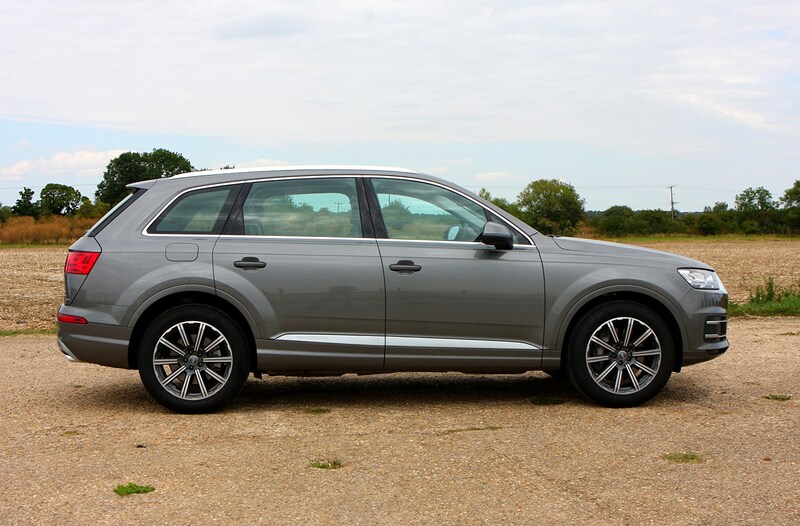 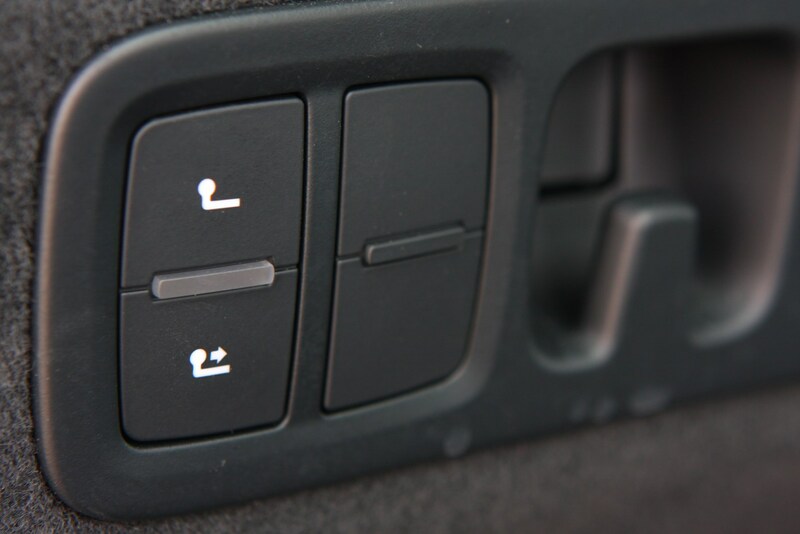 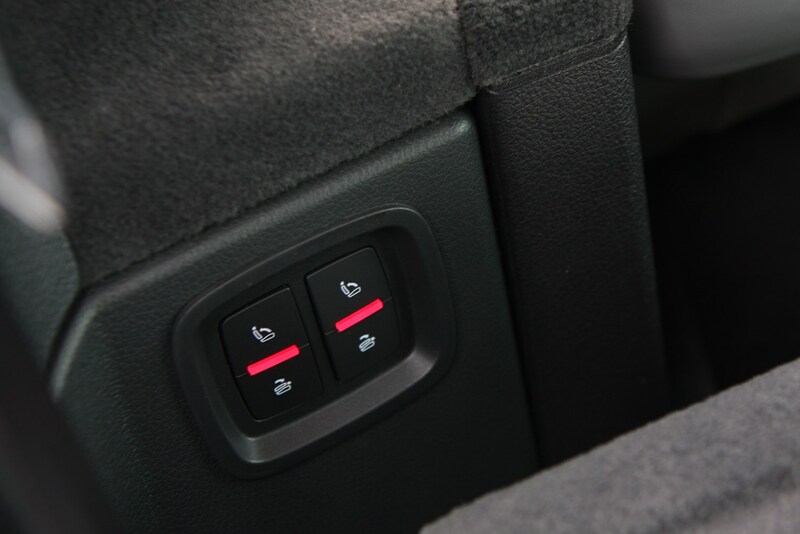 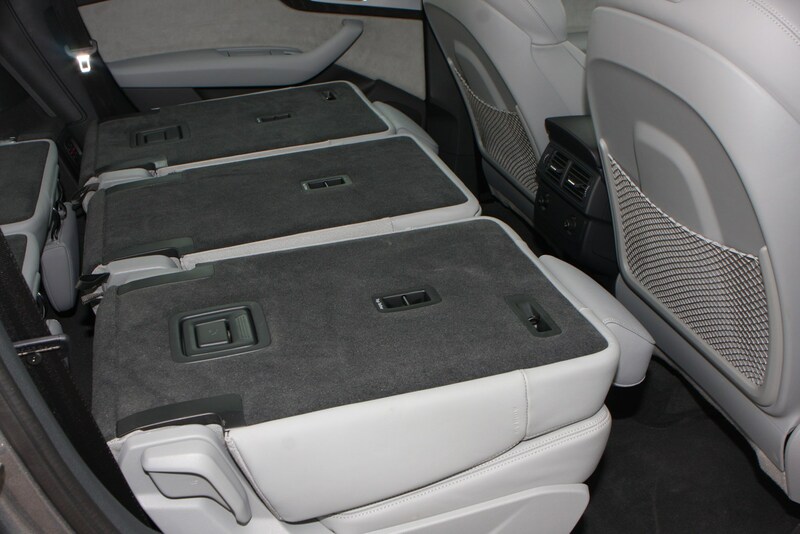 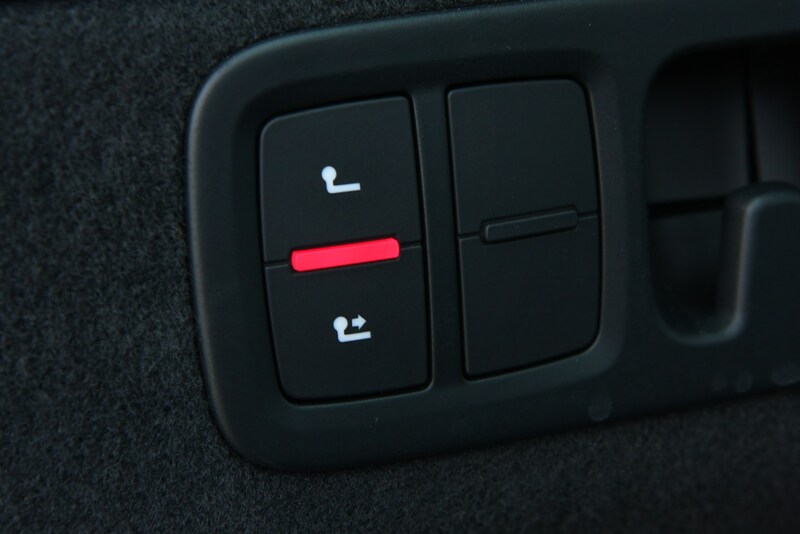 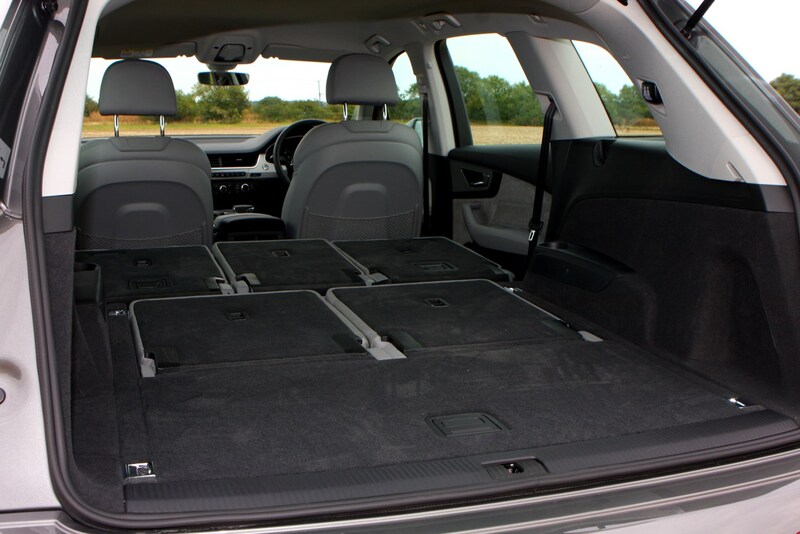 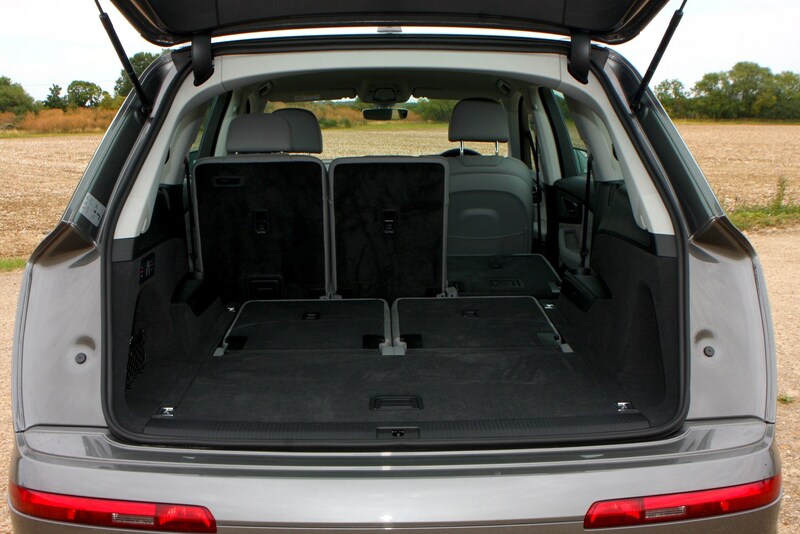 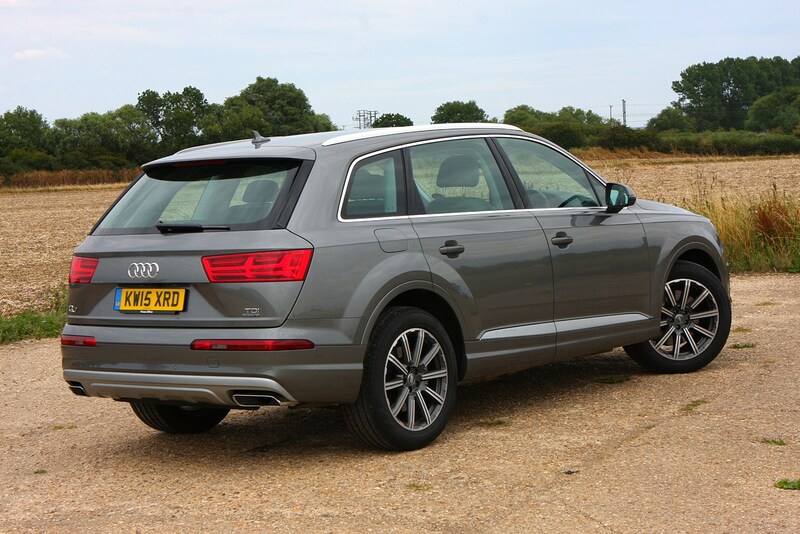 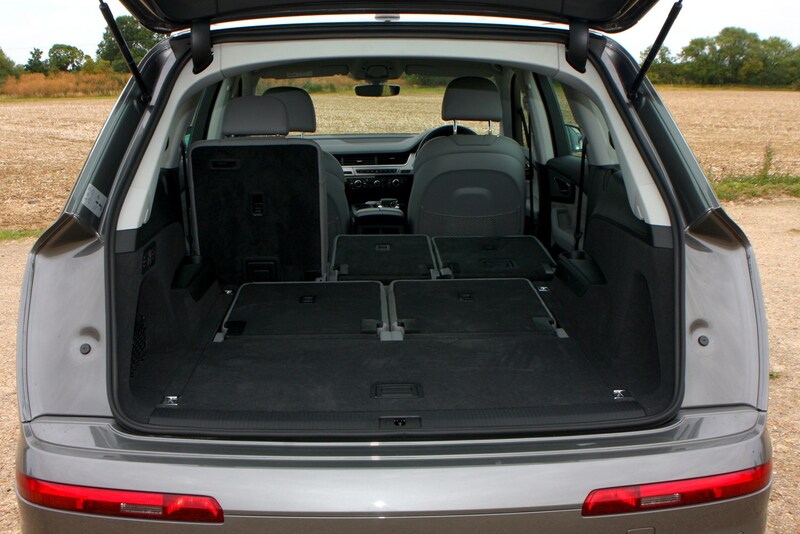 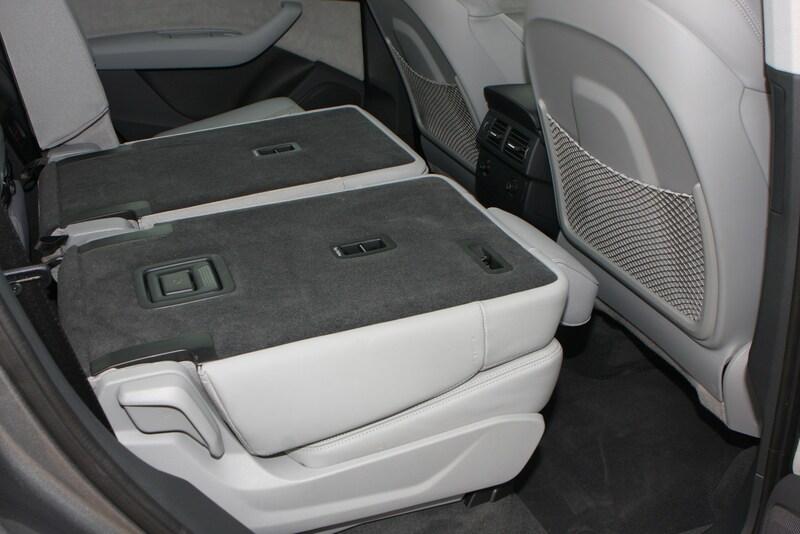 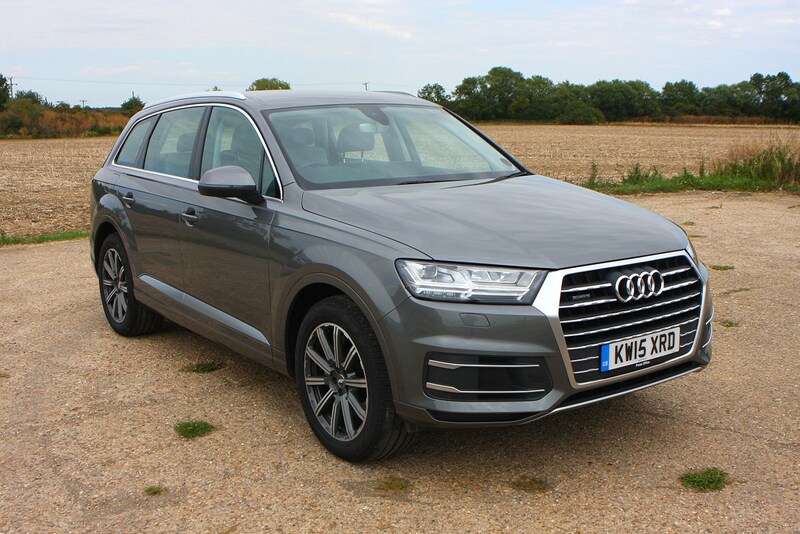 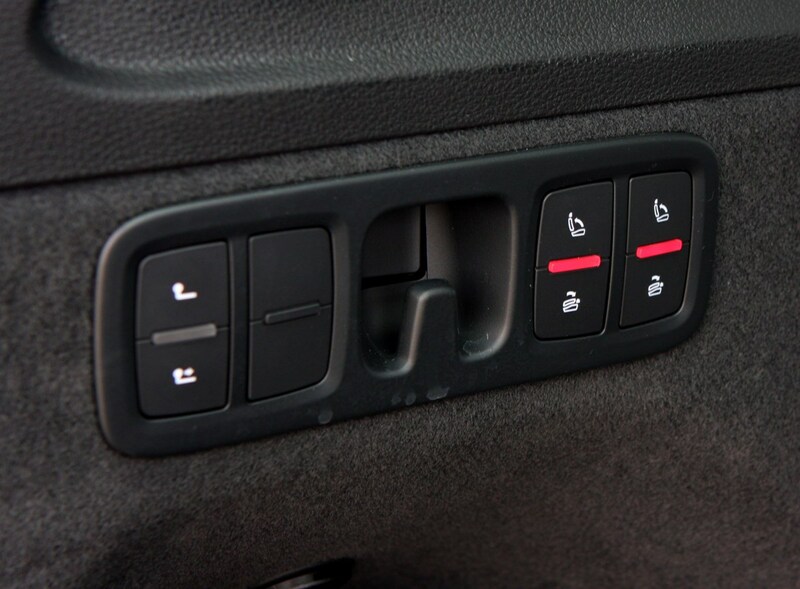 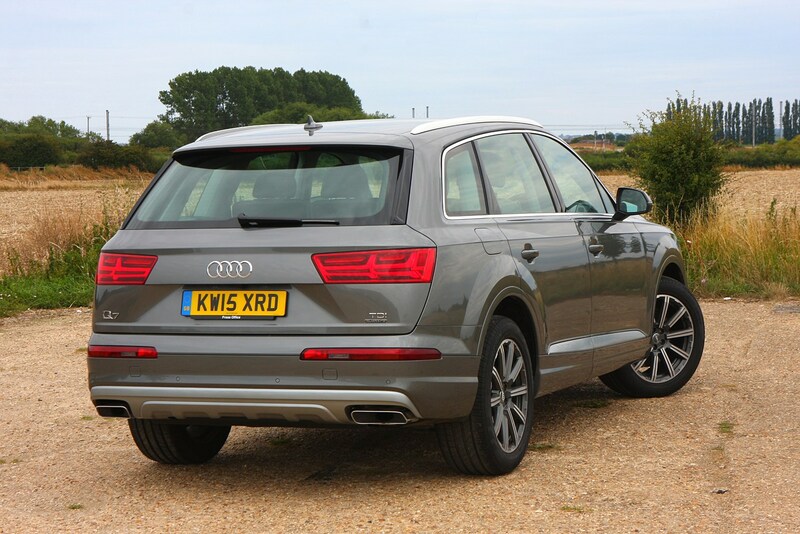 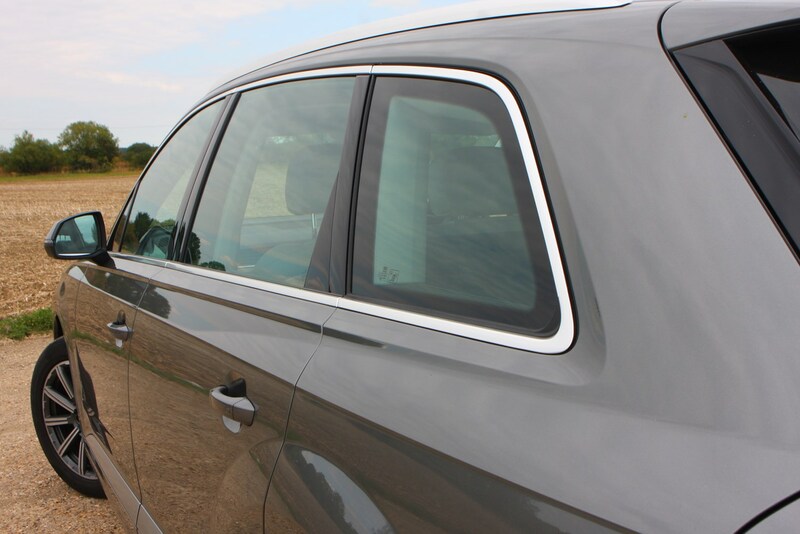 UK-spec Q7s come with seven seats too, though you can delete this last row as a no-cost option, and the third row can be folded electrically from buttons in the boot. 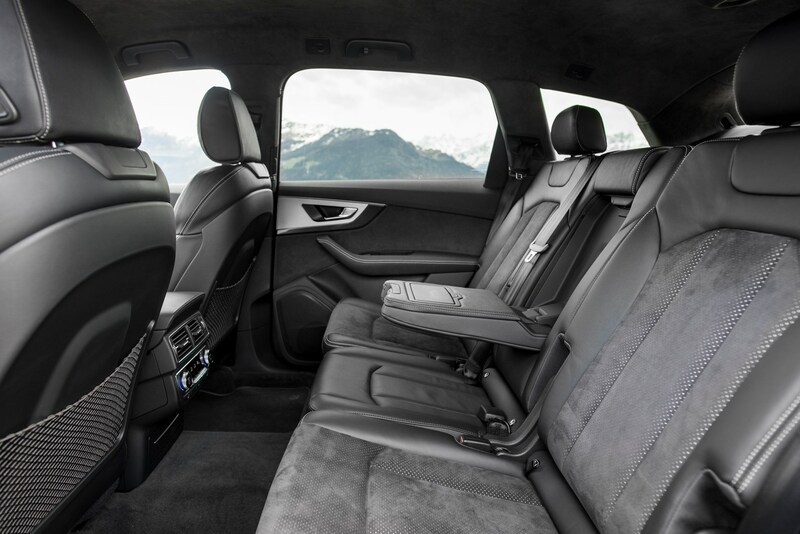 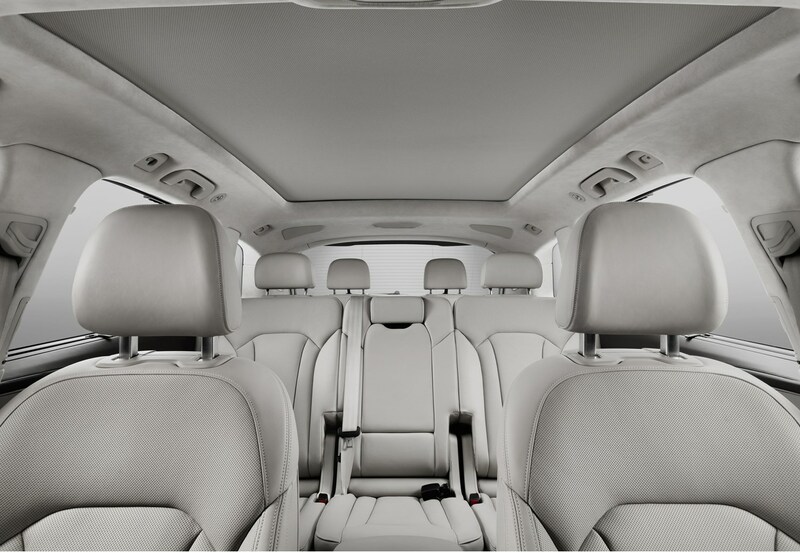 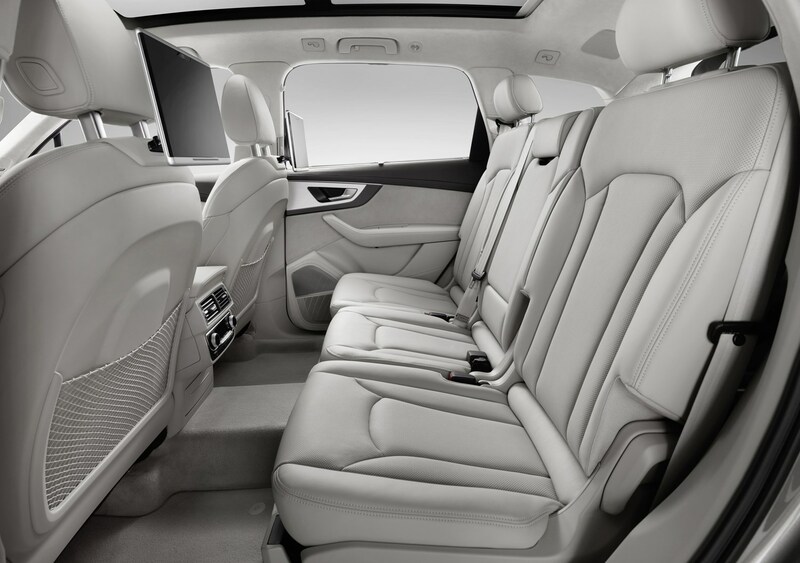 There’s more space wherever you sit, the middle row especially benefitting from extra head and shoulder room over the first Q7. 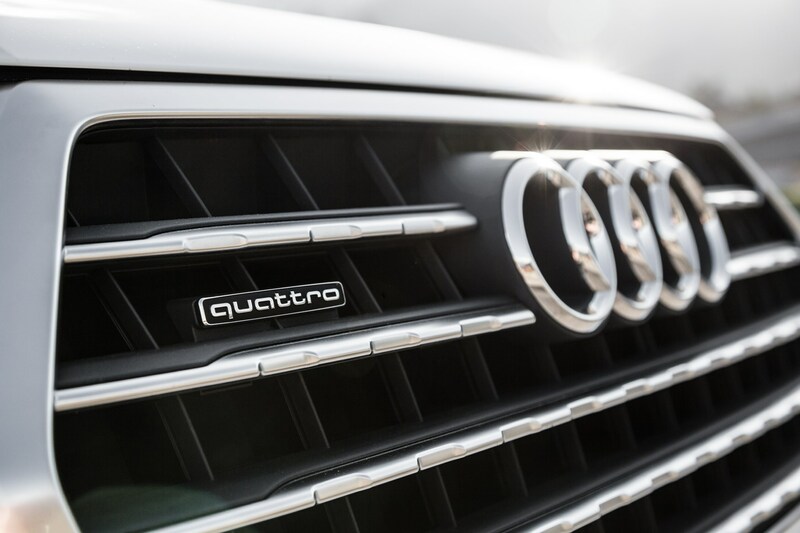 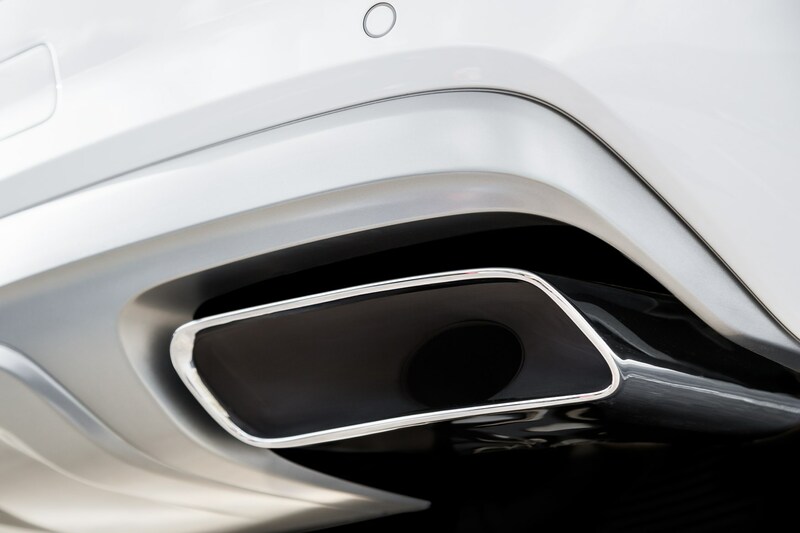 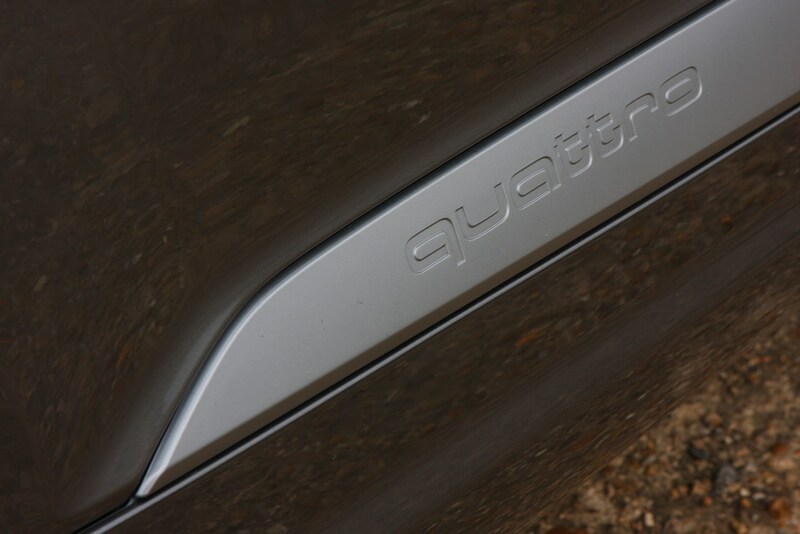 The SQ7 and Q7 E-Tron are trim levels in their own rights, but both are highly specified with top-quality Audi equipment. 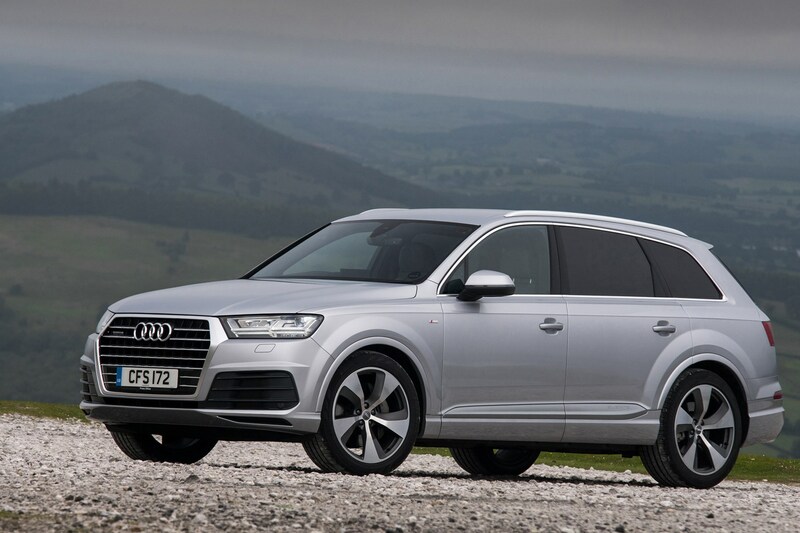 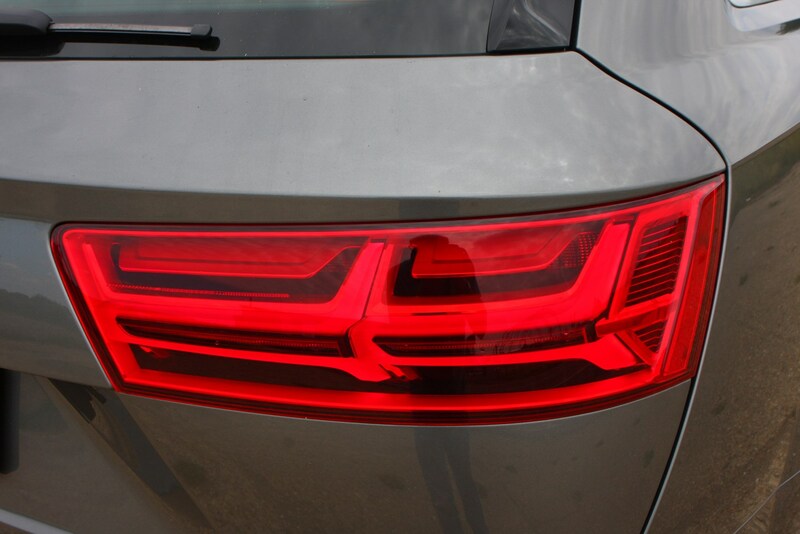 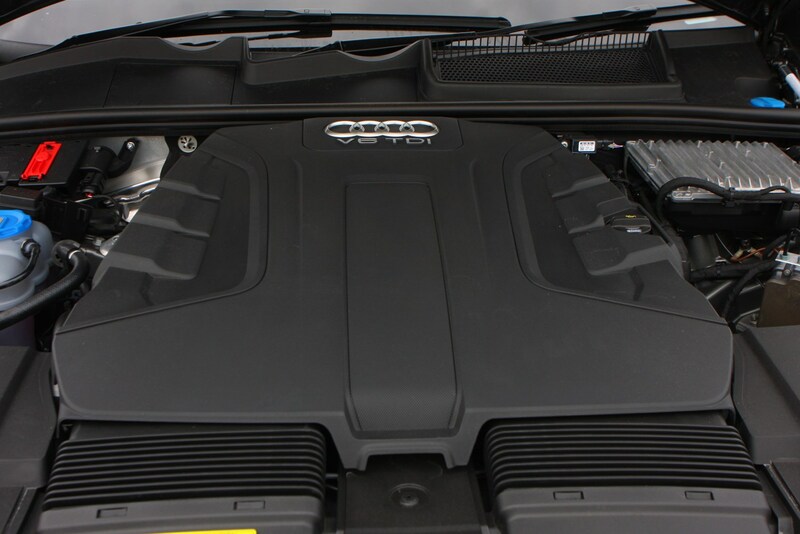 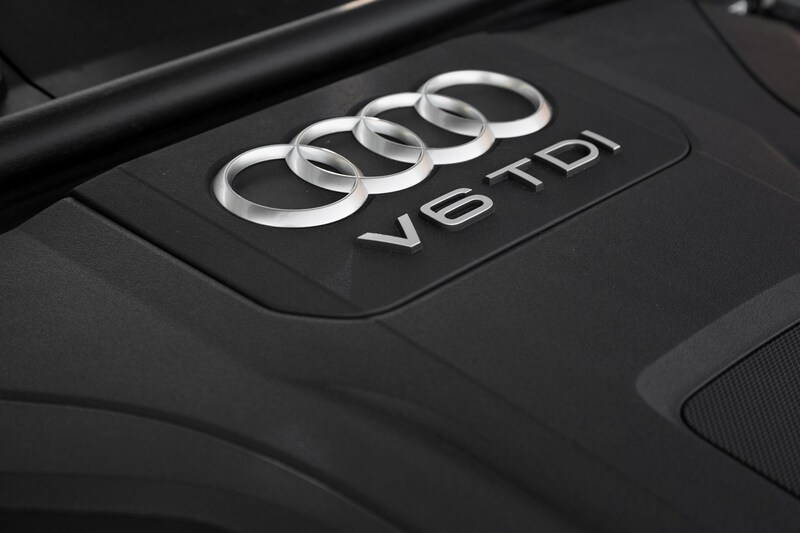 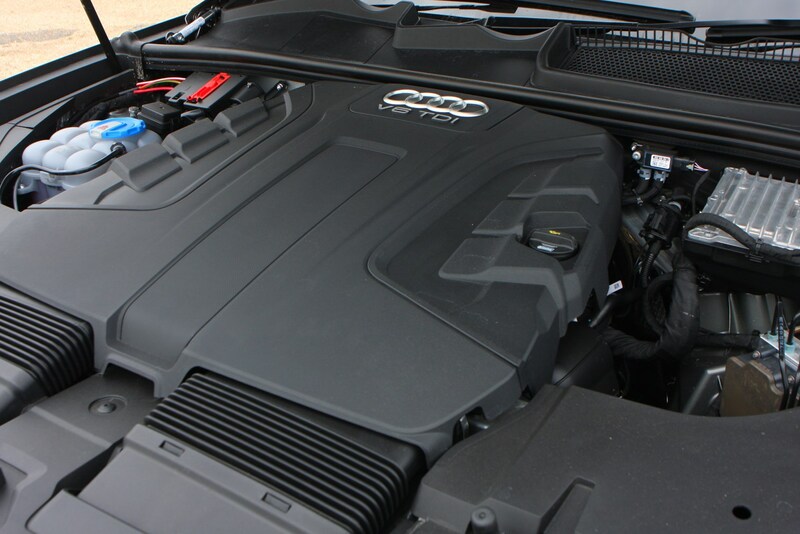 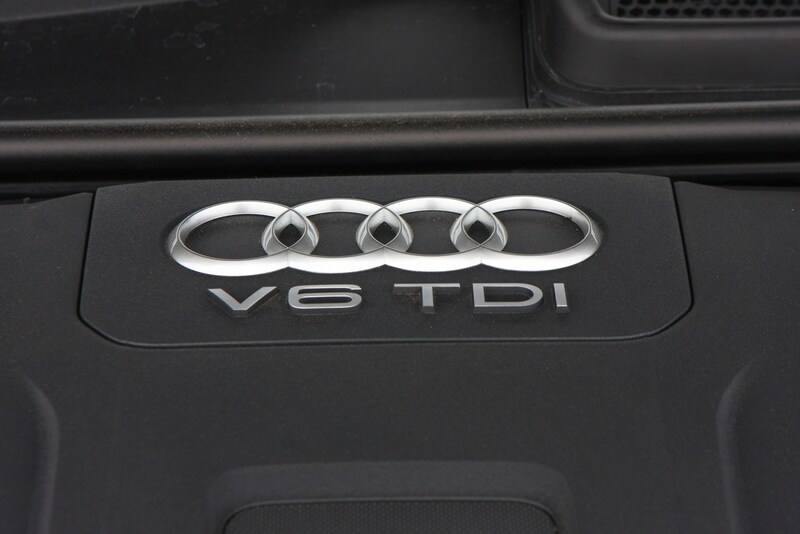 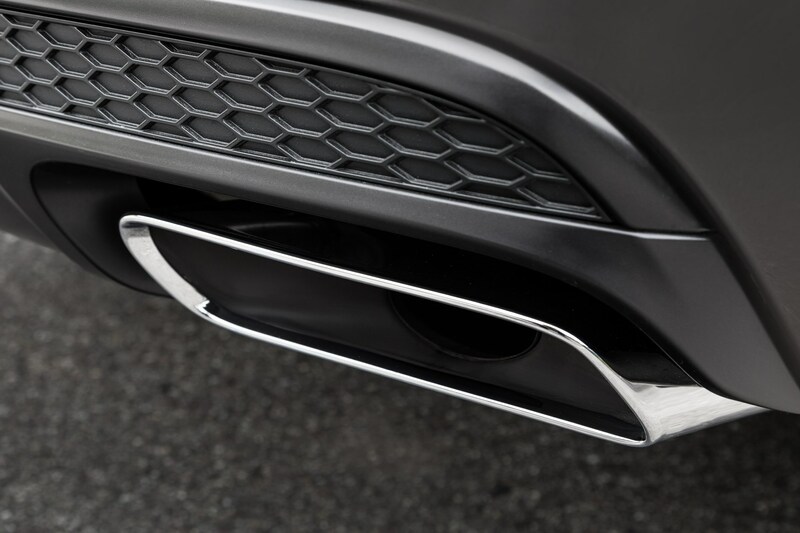 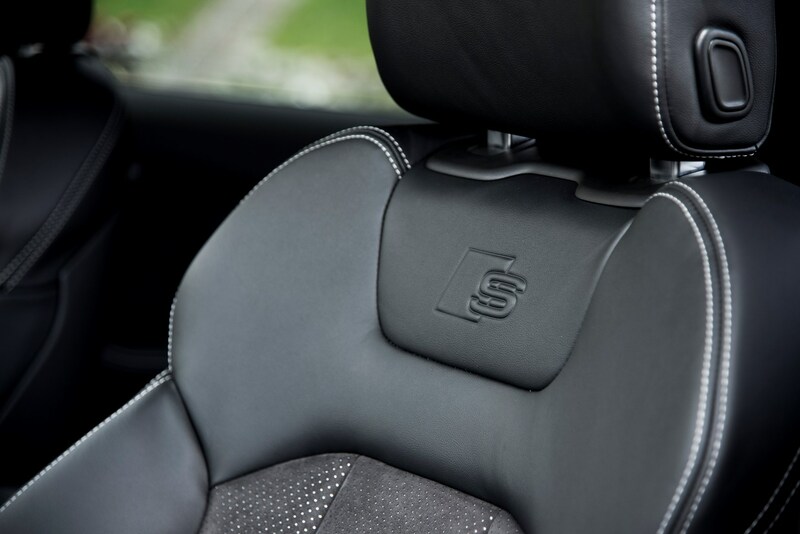 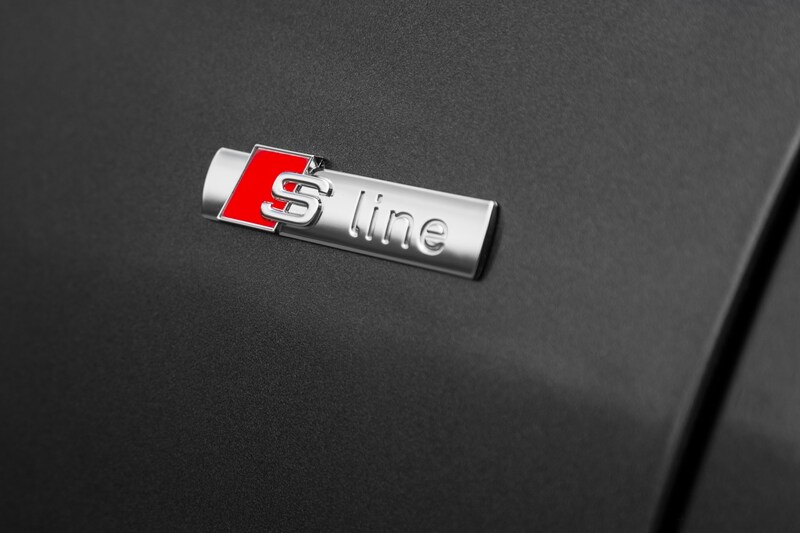 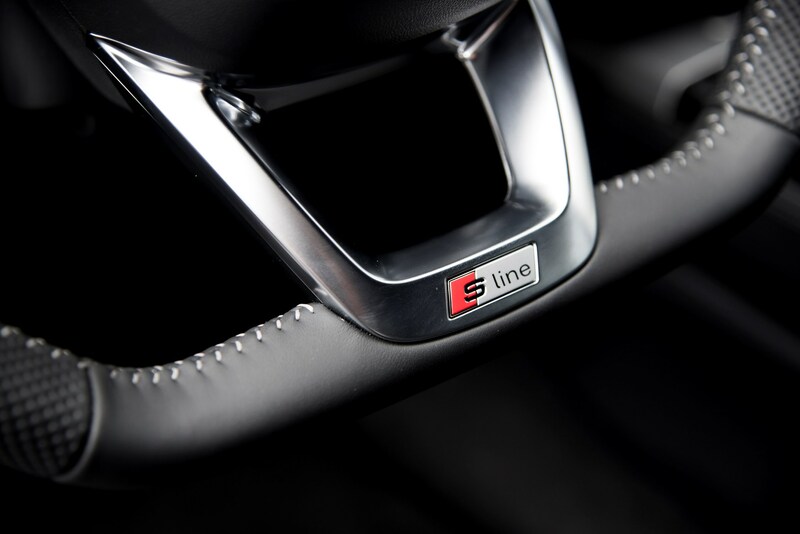 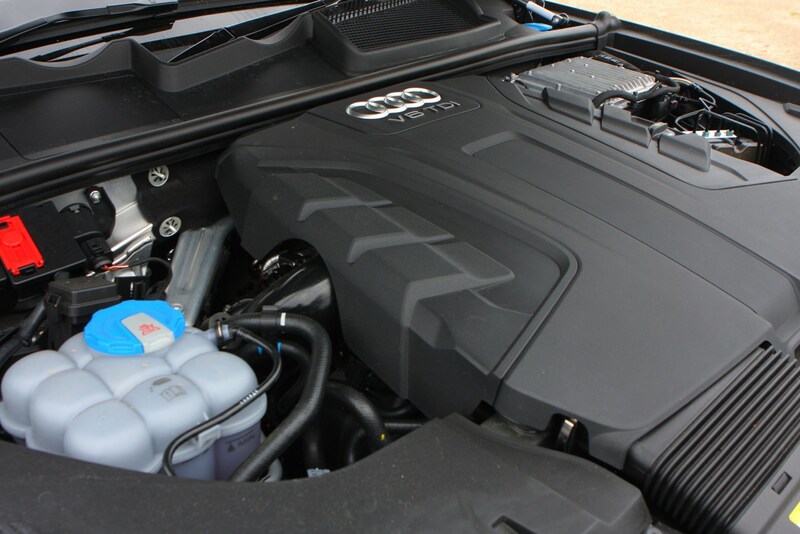 In October 2017 a pair of new trims were announced – Vorsprung (for Q7 and SQ7) and Black Edition, which was solely available for the 272hp 3.0 TDI engine. 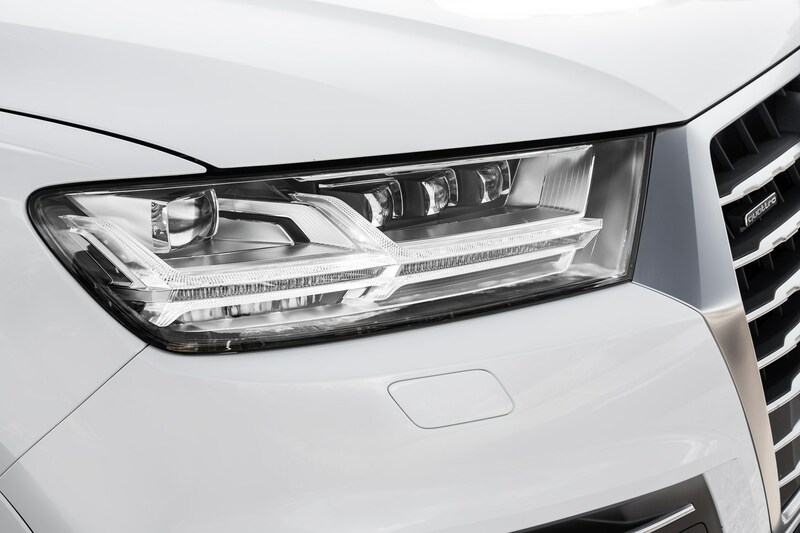 The former combines 22-inch wheels with sports seats, extra leather upholstery, a head-up display and Matrix LED headlights. 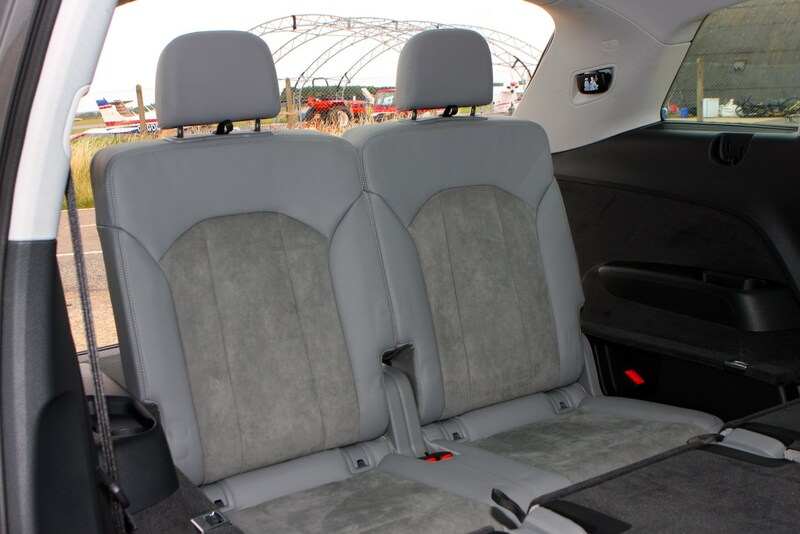 The latter slots in above S Line trim with 21-inch wheels, a black styling pack and higher-quality Valcona leather trim. 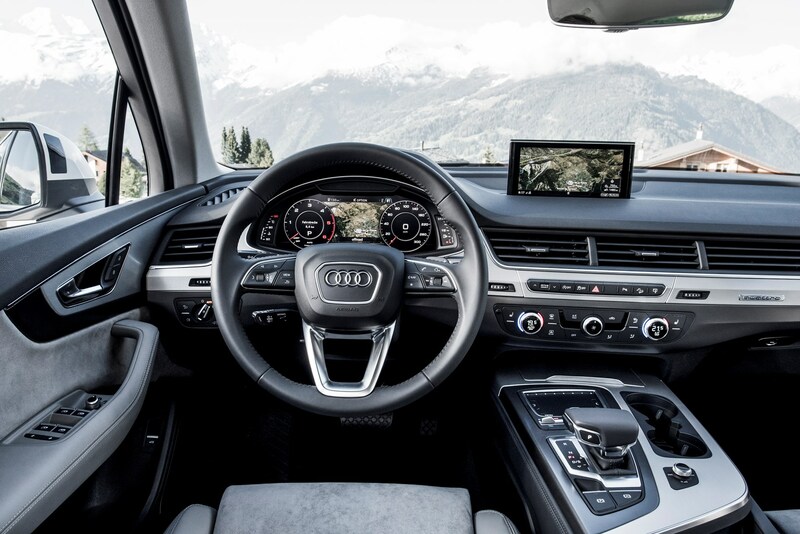 You also get Audi’s Virtual Cockpit, a full-length panoramic sunroof and Air Suspension Sport, which lowers the body by 15mm and adjusts for the type of driving you’re doing. 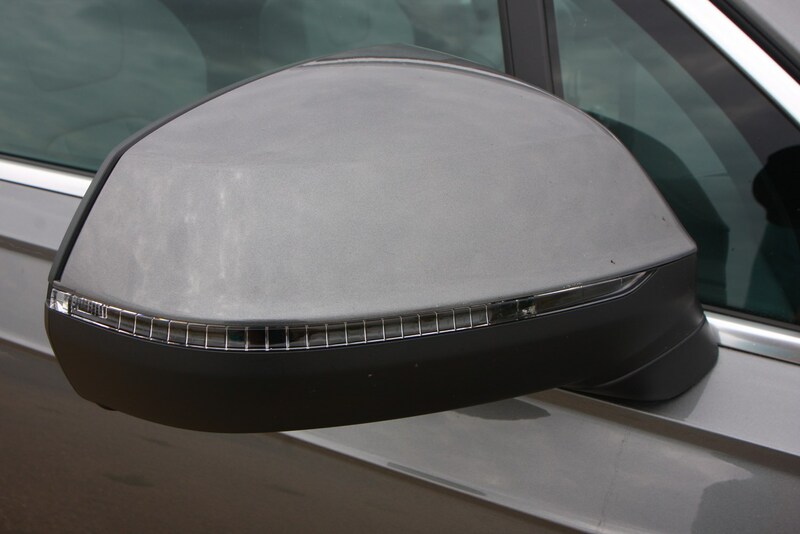 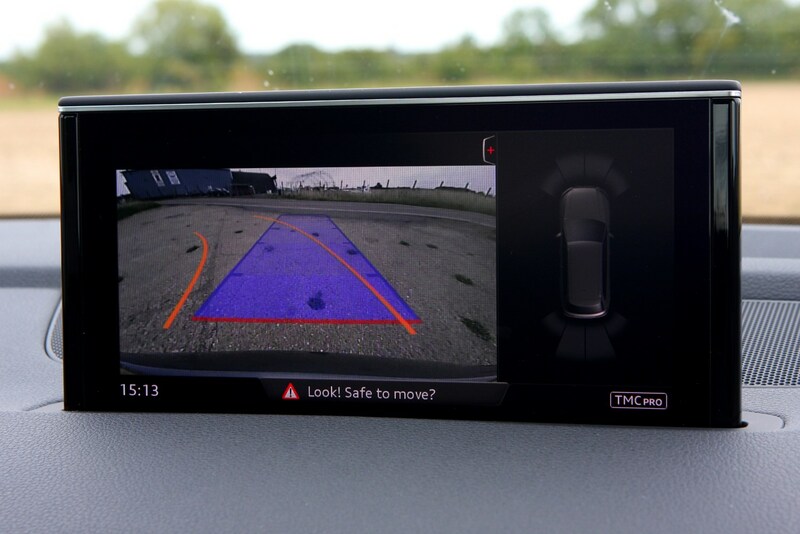 A rear-view camera is the final piece of the puzzle. 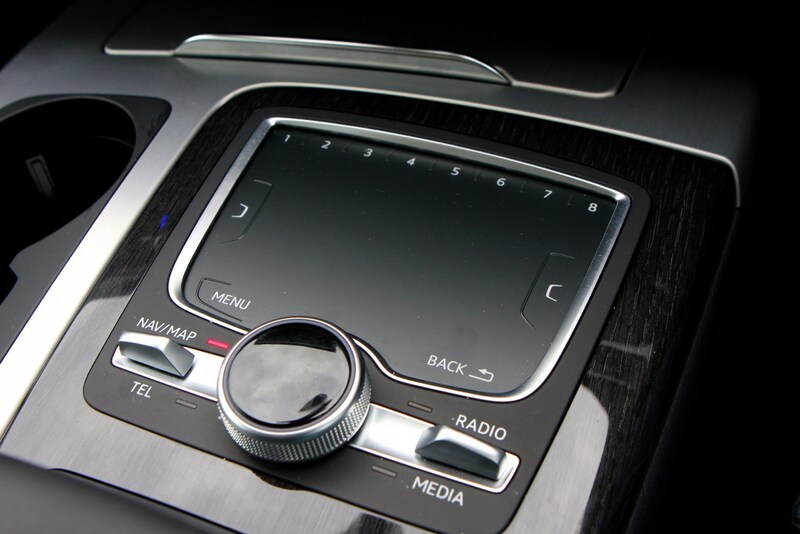 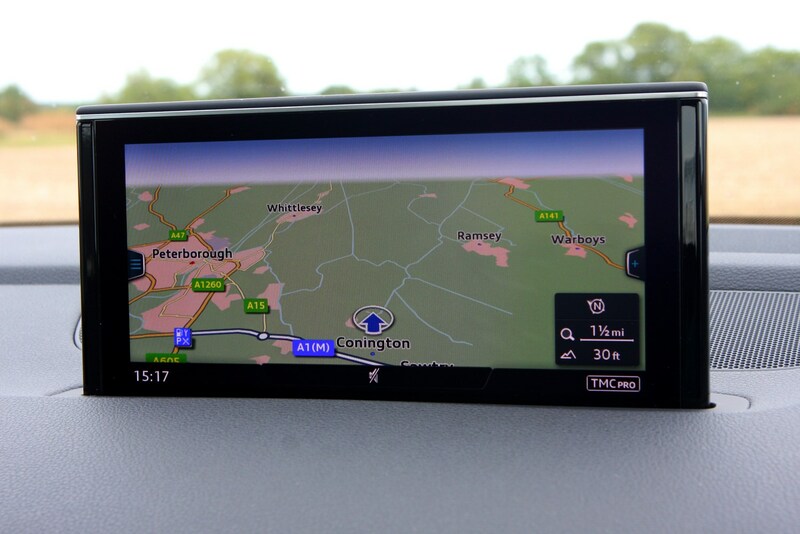 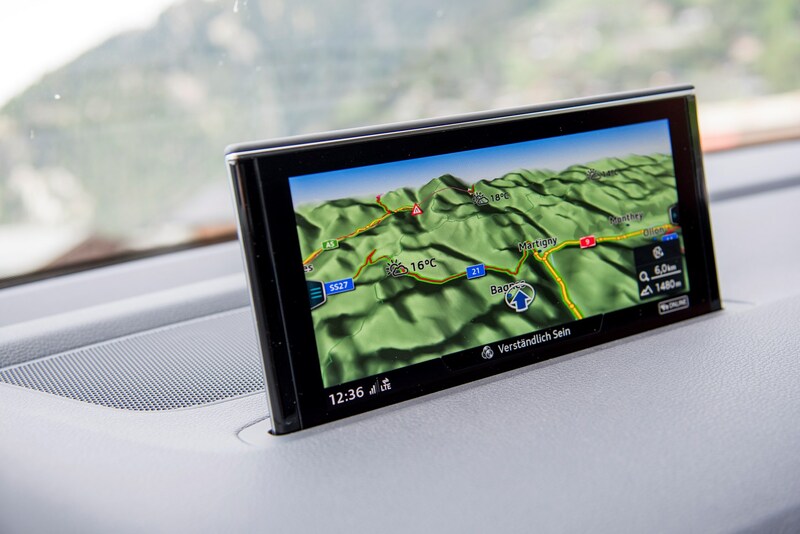 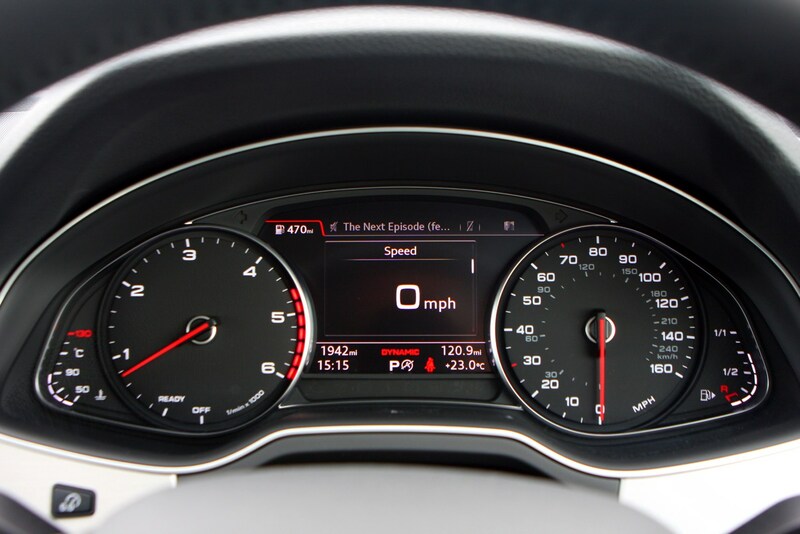 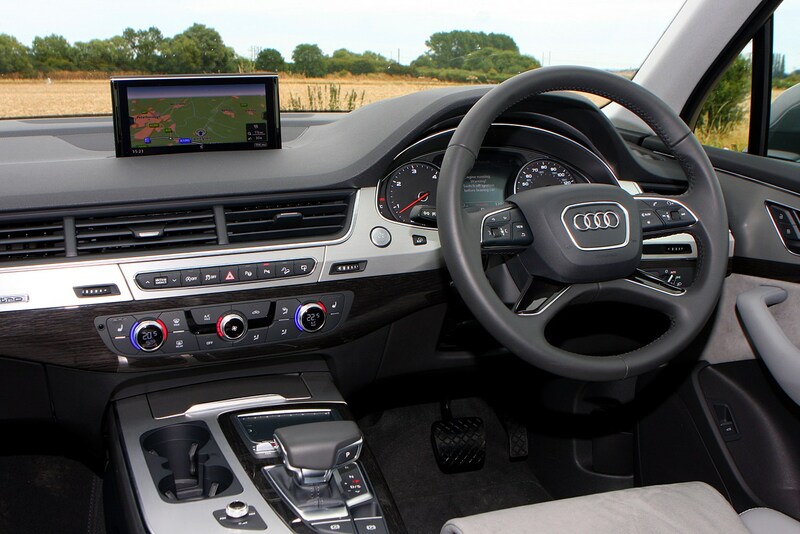 The Audi Q7's infotainment system (MMI) features a large 8.3-inch screen that rises from the dashboard to display all manner of information, and is controlled using a rotary control and buttons in the centre console. 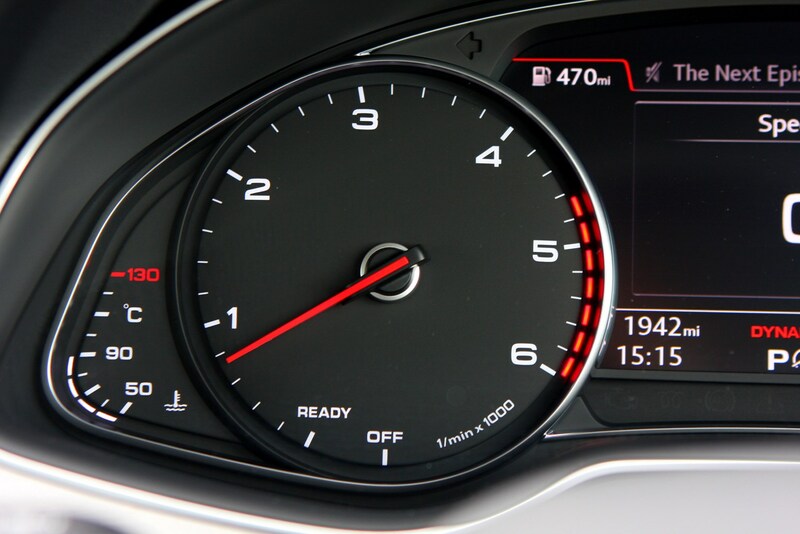 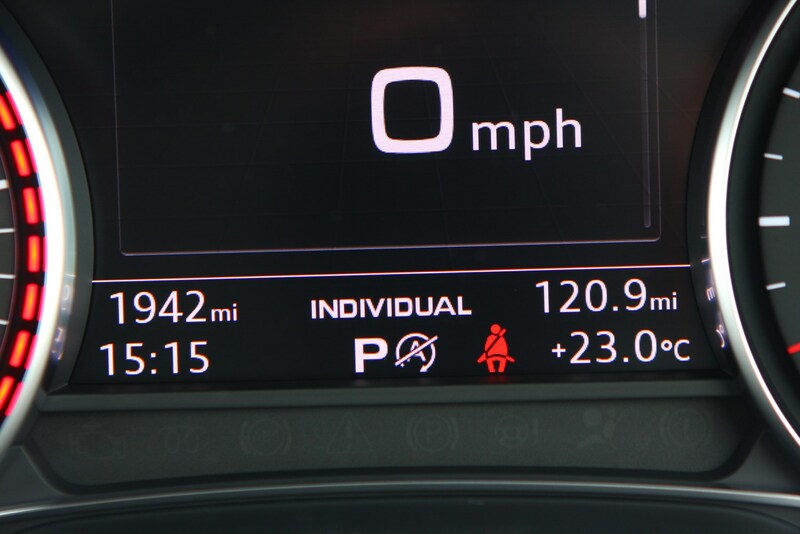 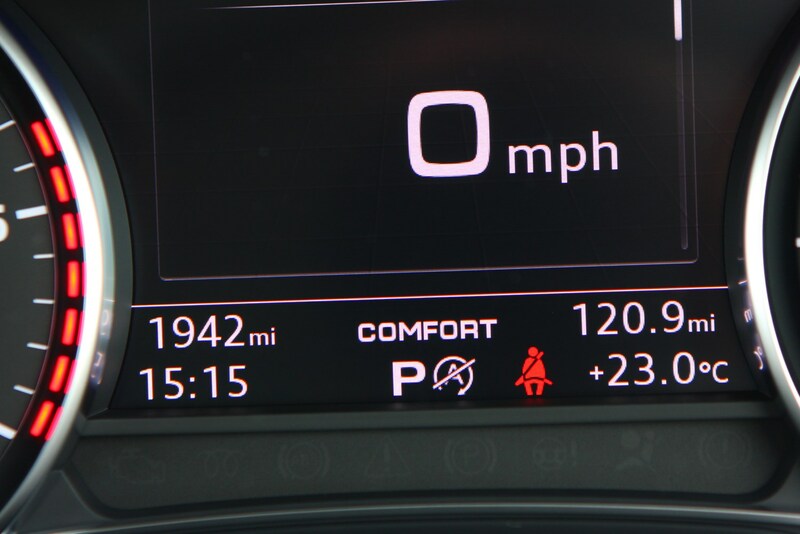 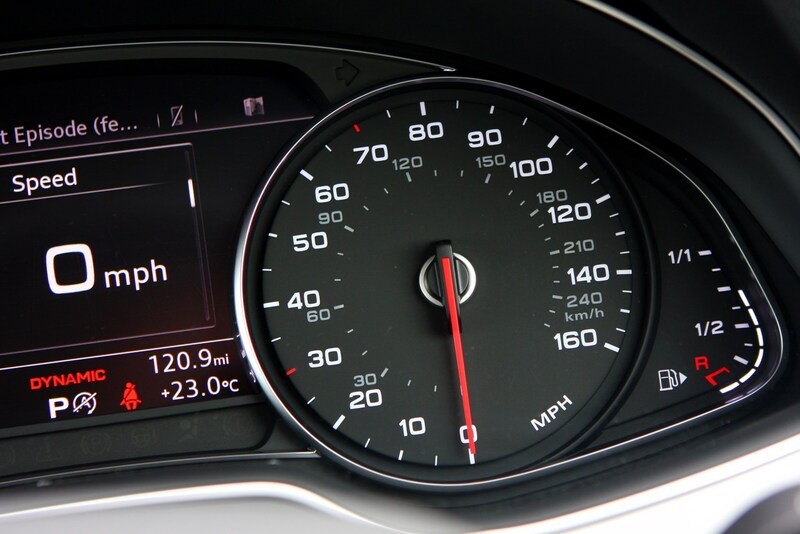 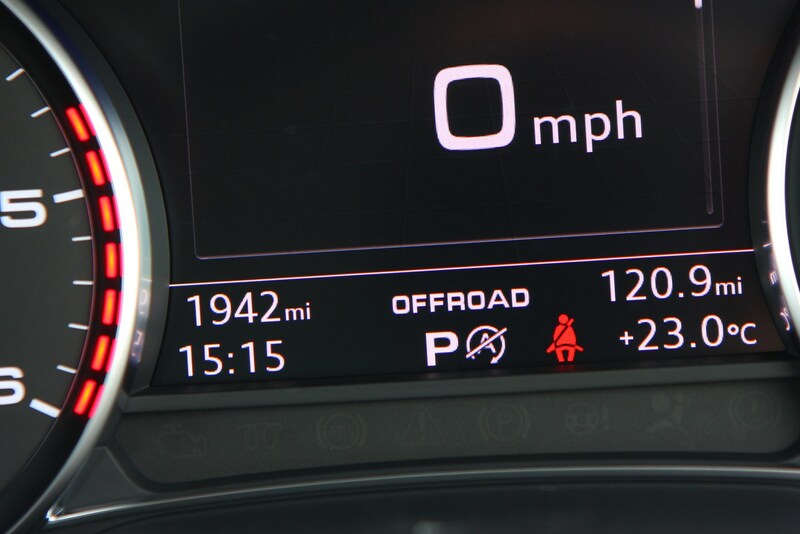 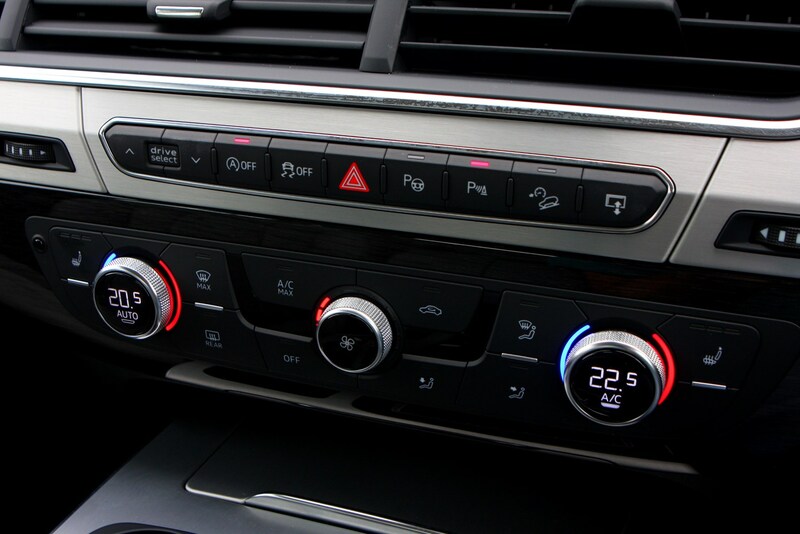 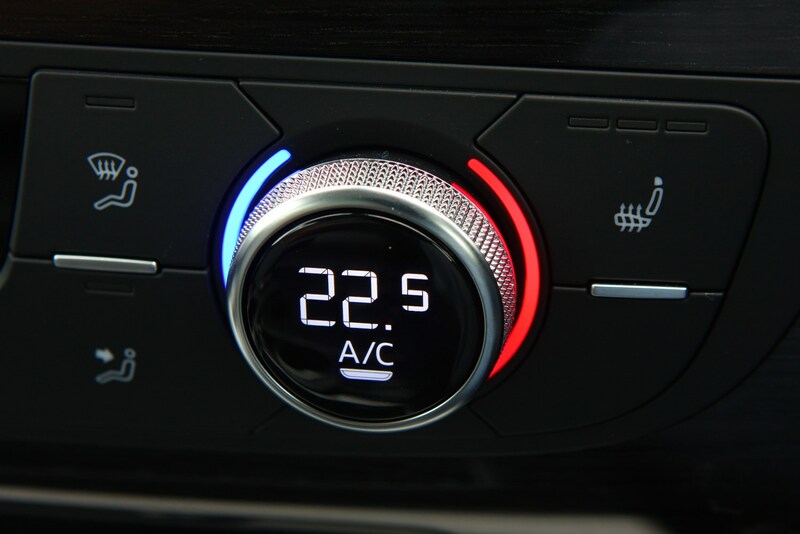 The Q7 also comes with the option of the firm’s Virtual Cockpit instrument display. 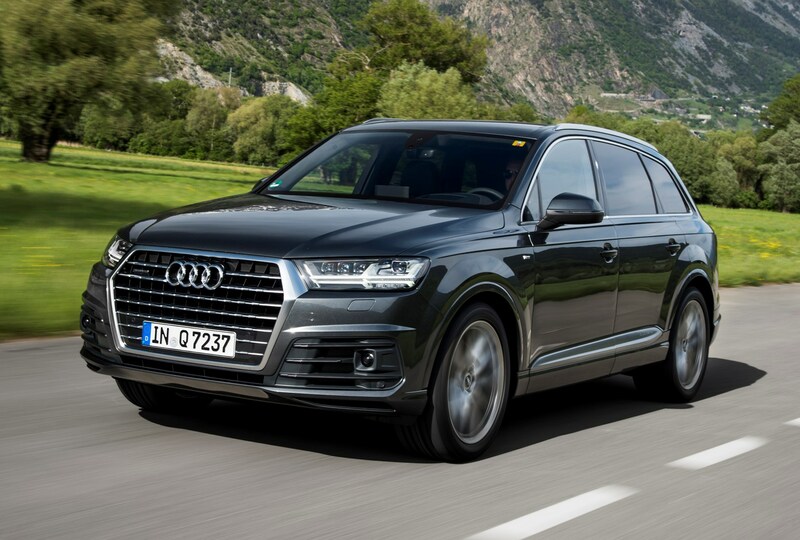 We like the Audi Q7. 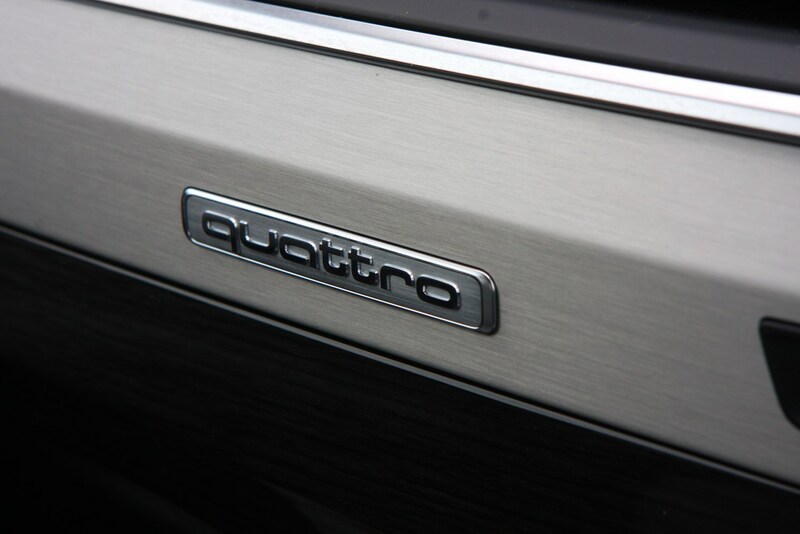 More importantly, so do you. 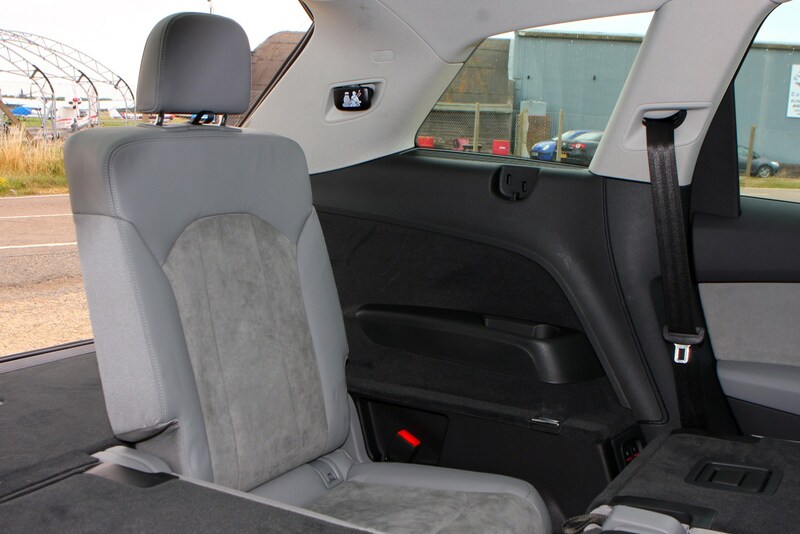 It's a popular choice in this class, and one that ticks a great deal of boxes when it comes to equipment, technology, quality and comfort. 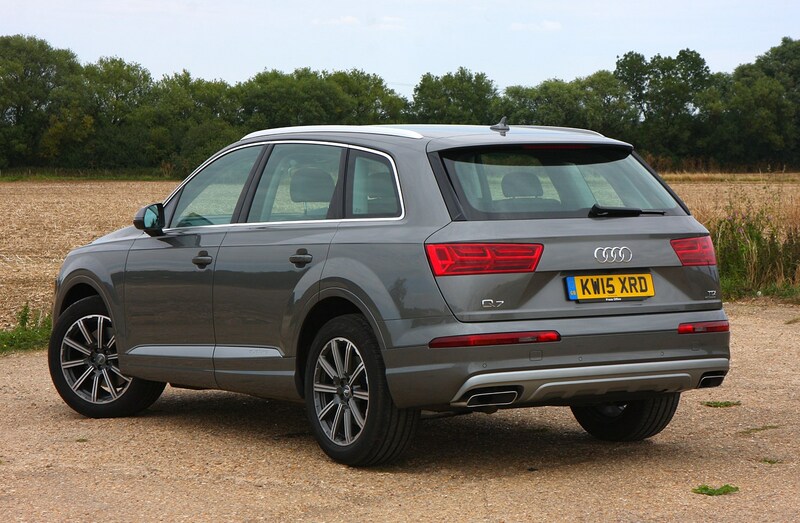 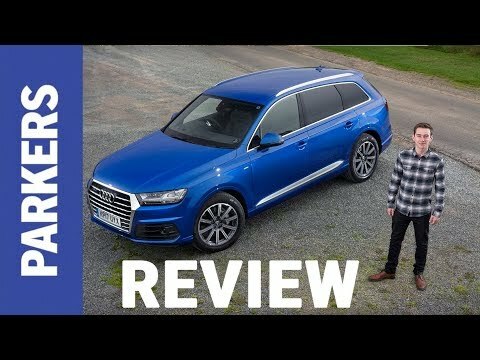 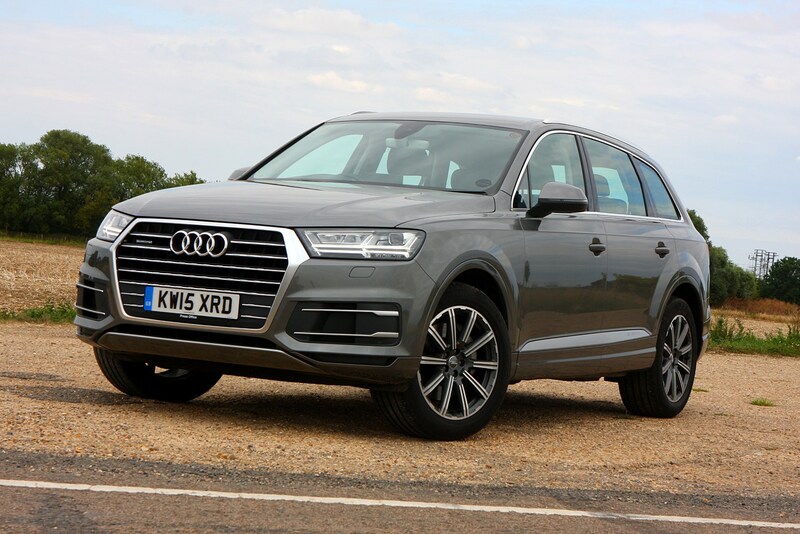 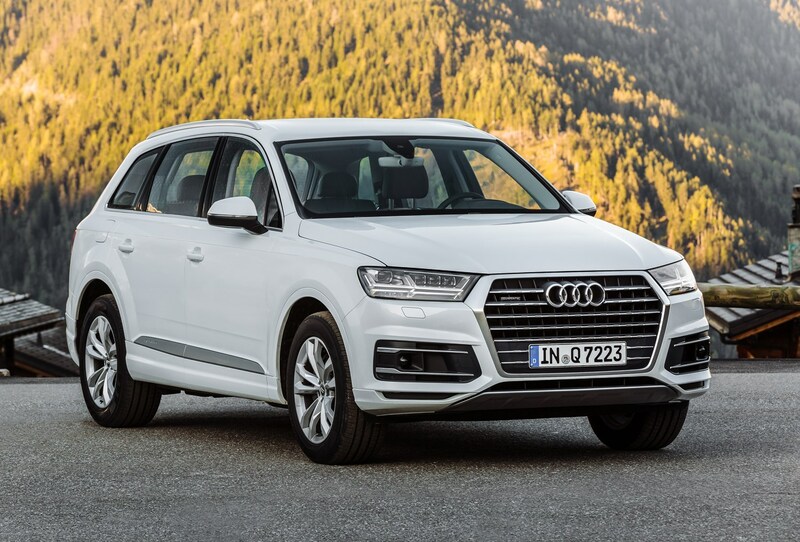 With the more recent arrival of the latest (and bestselling) Audi Q5, you might be left wondering why you'd want to plump for its older, larger brother. 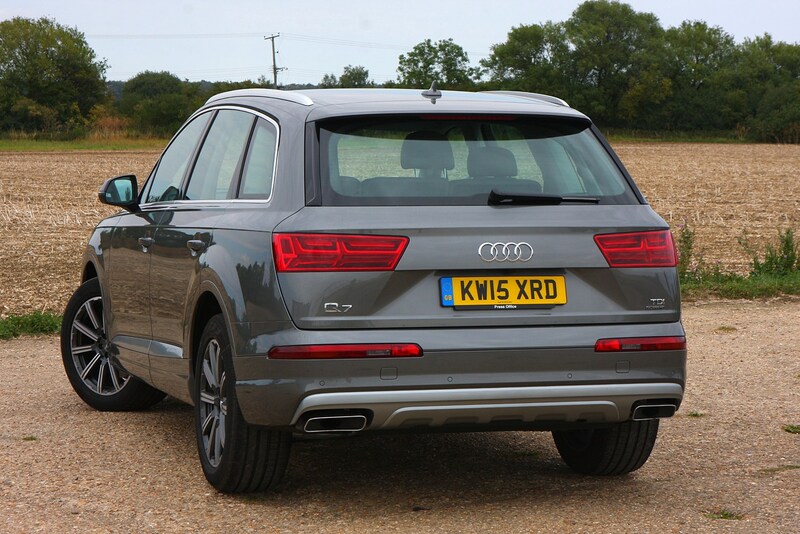 But there's something very special about the Q7 that befits its position as Audi's flagship SUV. 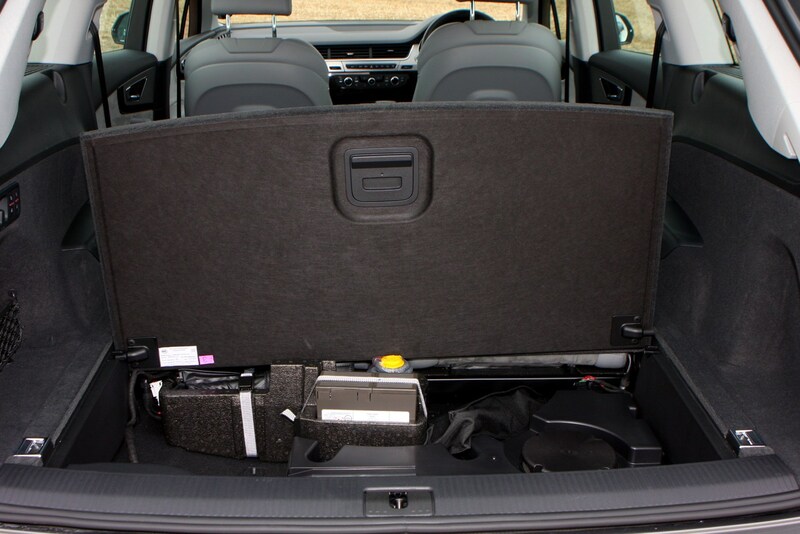 It's not perfect – the steering and ride aren't a patch on the Range Rover Sport's, for instance – but it's hugely capable nevertheless, and its cabin is unrivalled in the SUV universe.